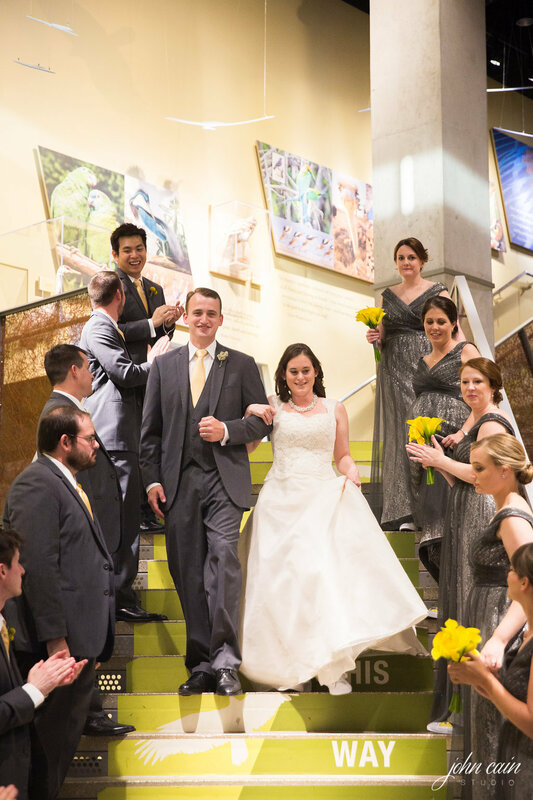 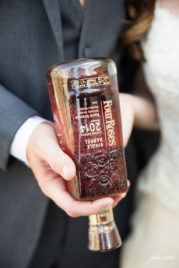 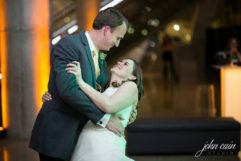 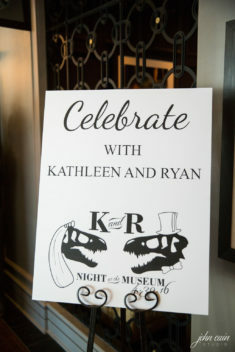 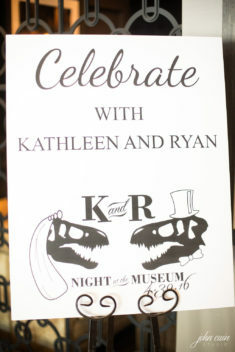 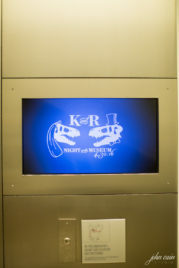 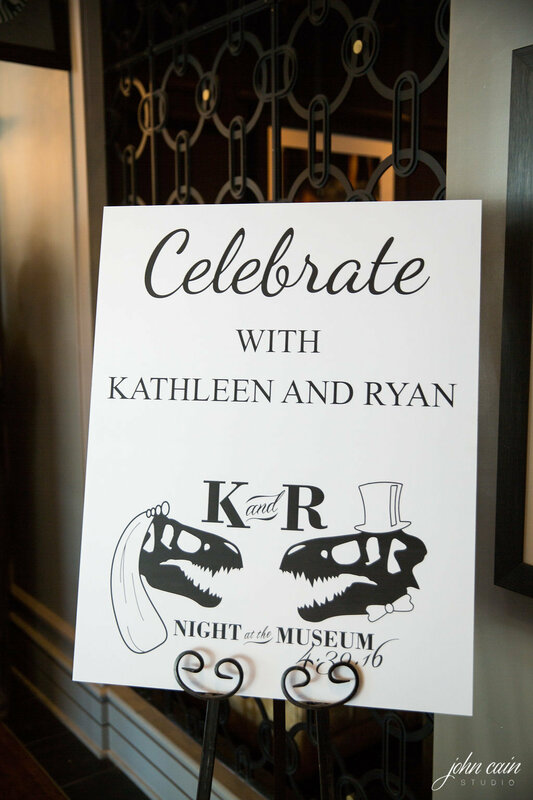 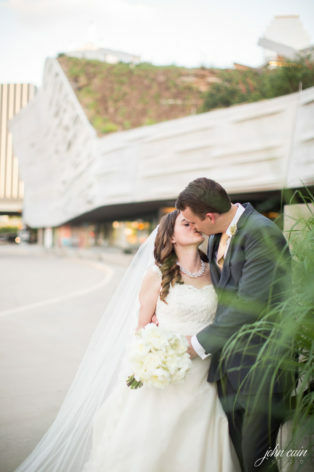 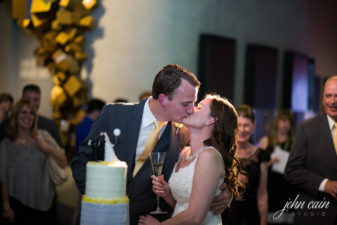 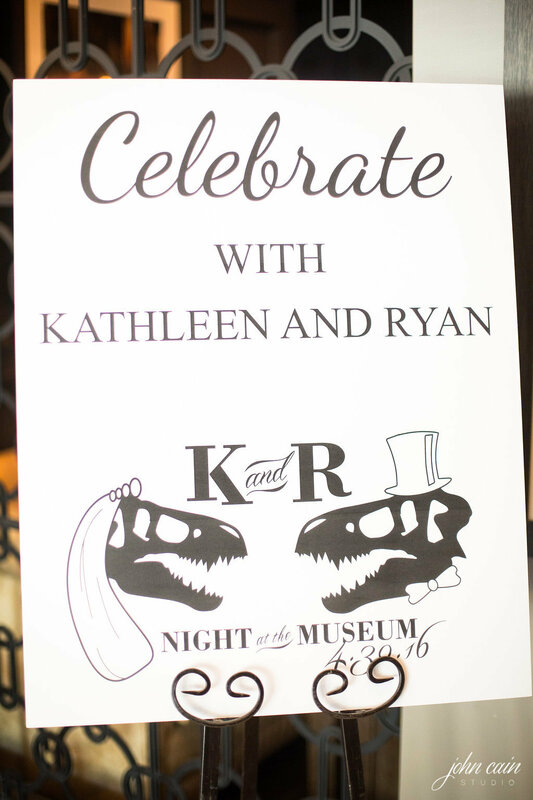 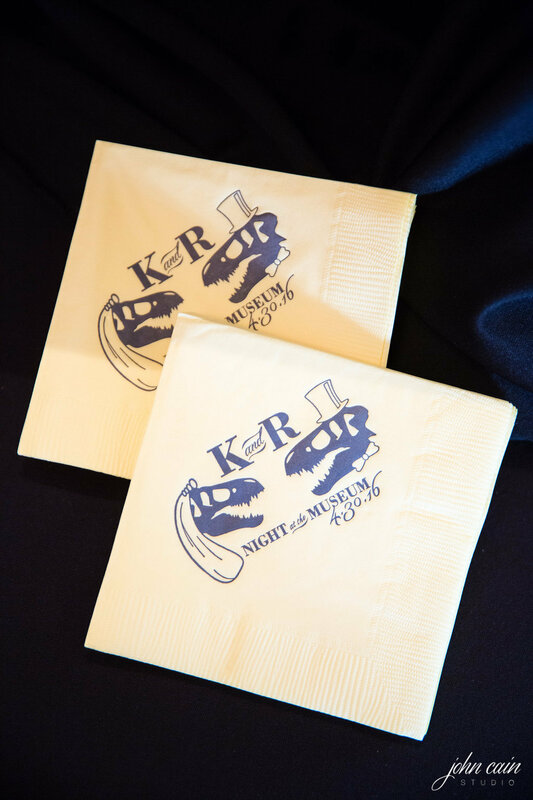 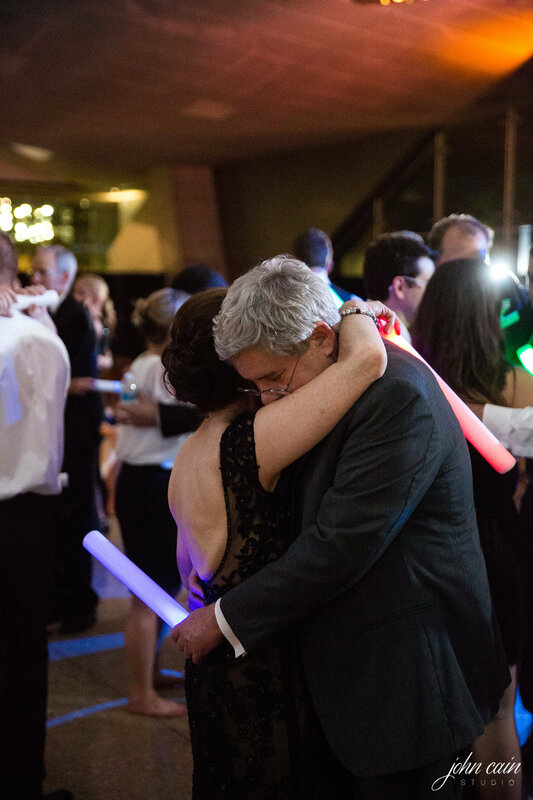 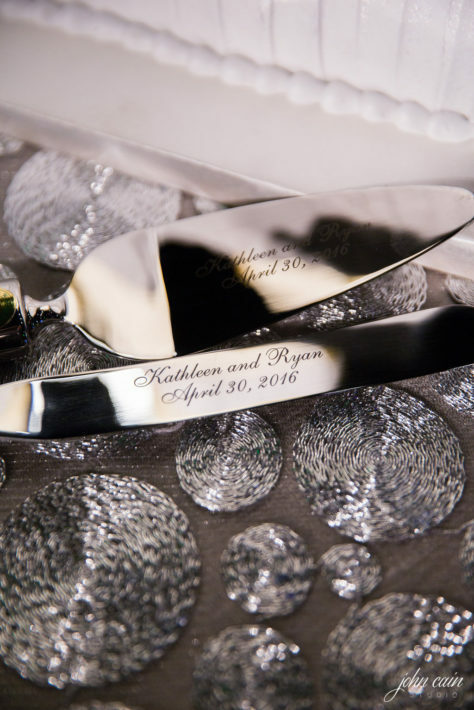 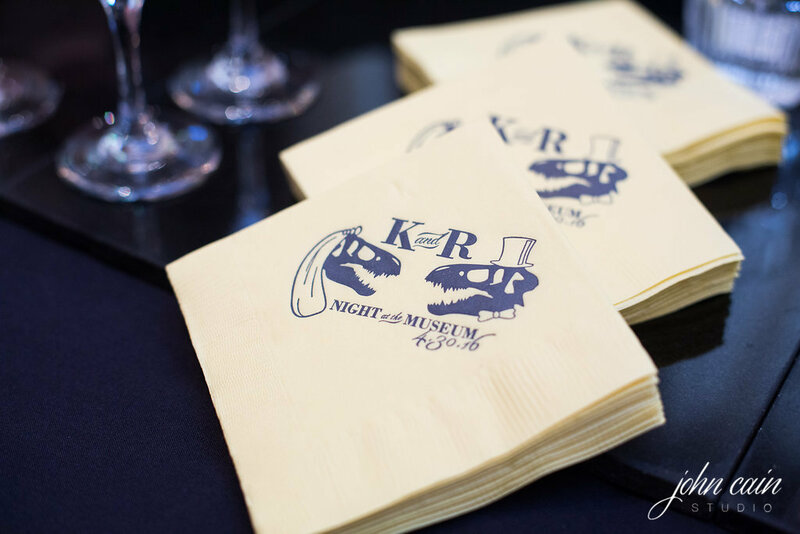 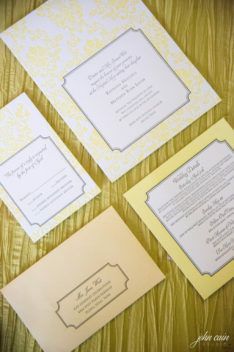 Kathleen and Ryan’s night at the museum was one for the history books! 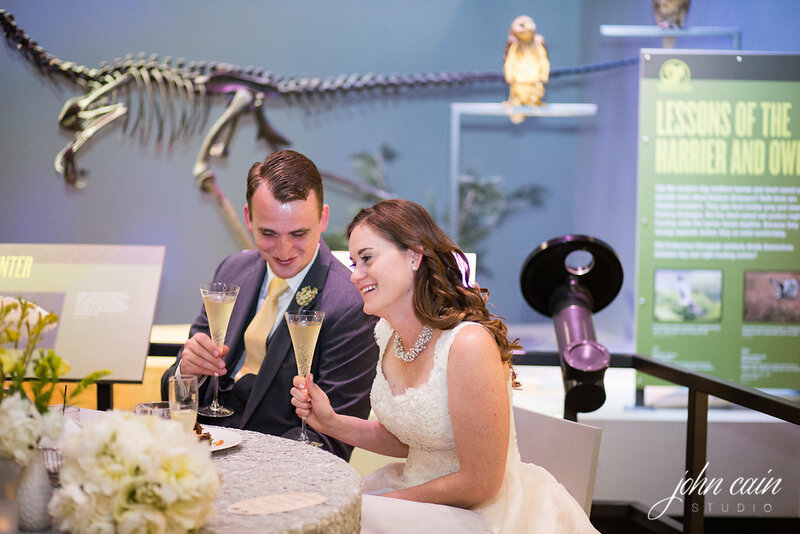 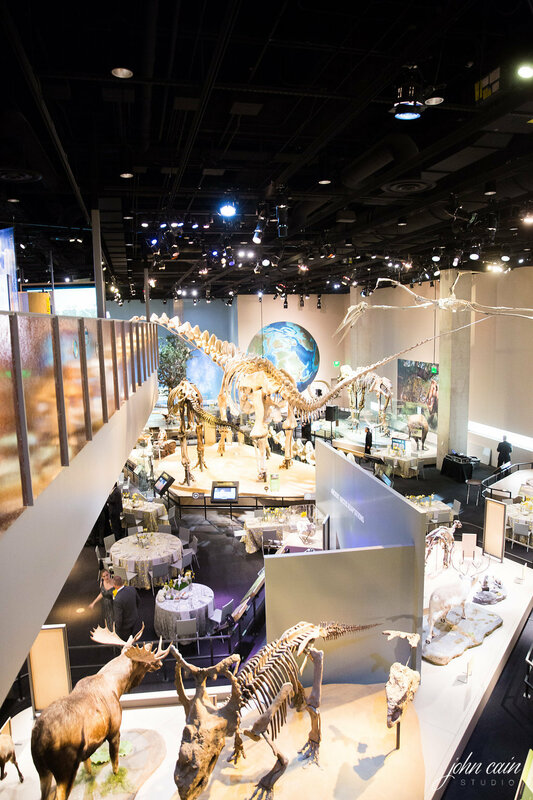 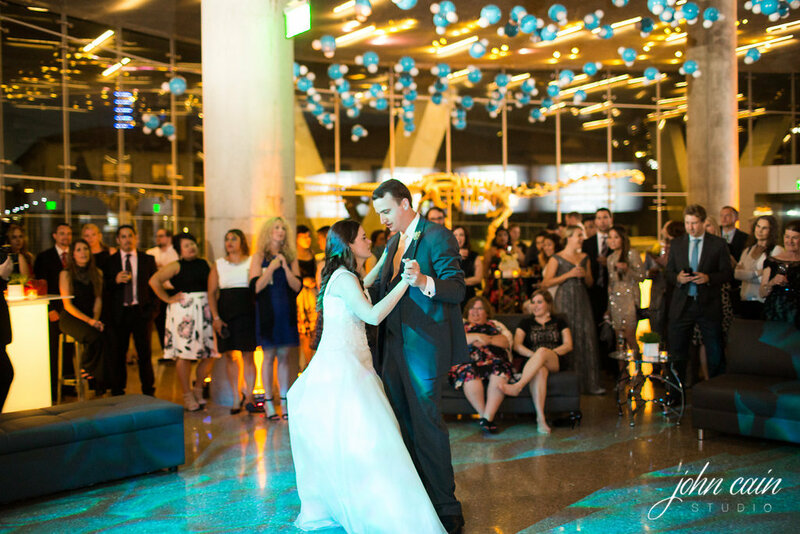 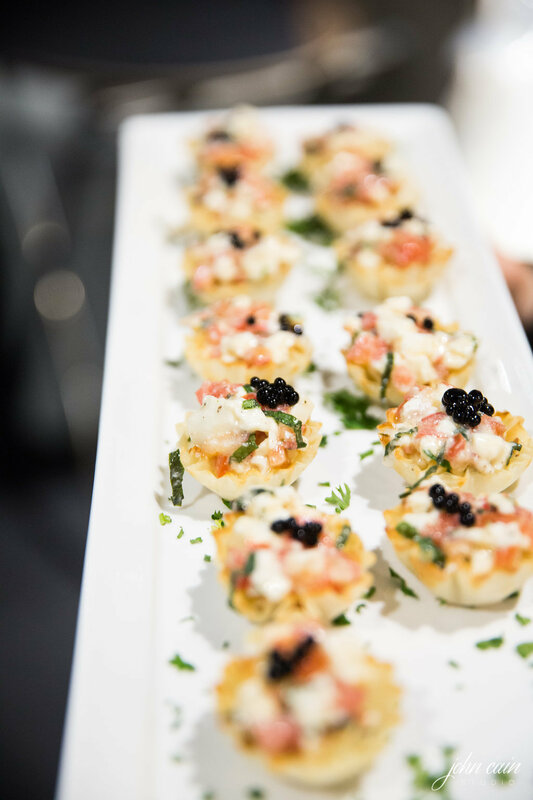 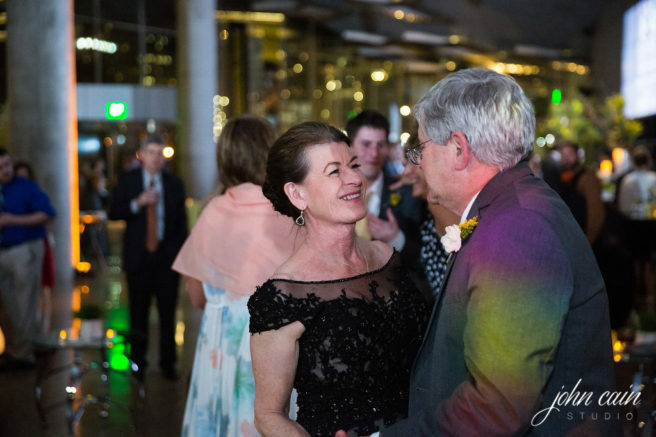 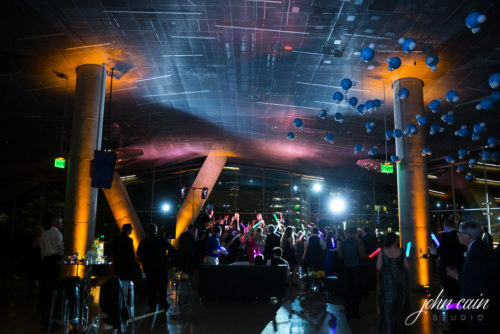 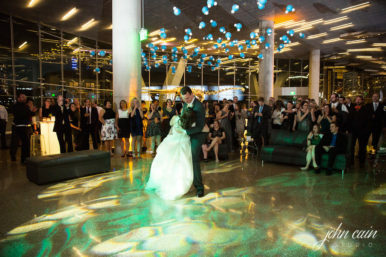 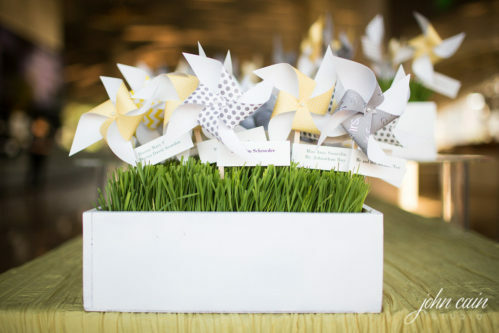 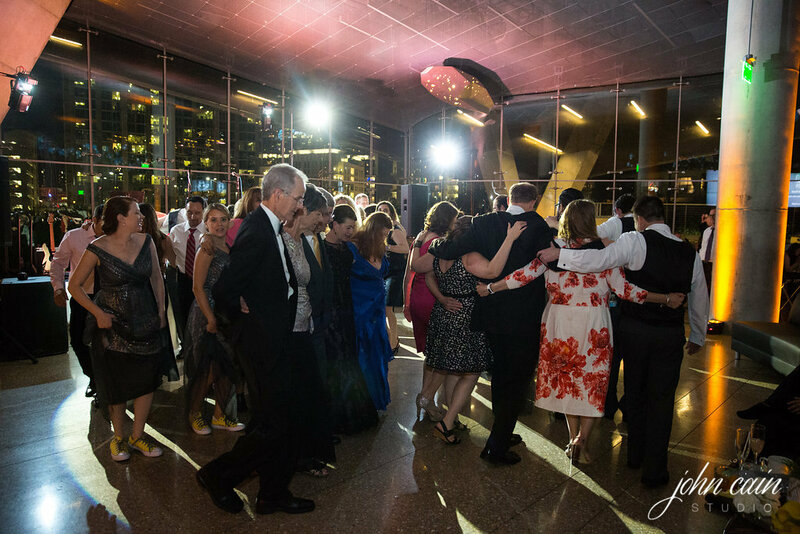 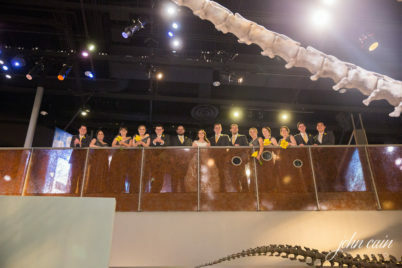 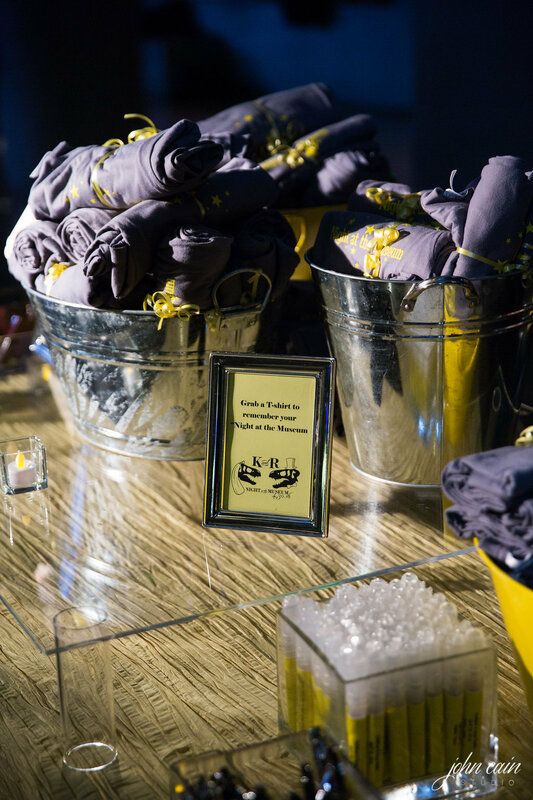 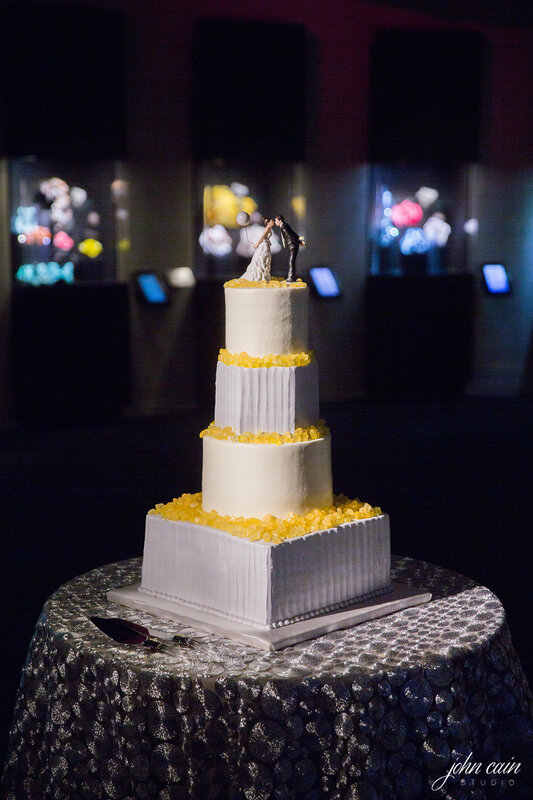 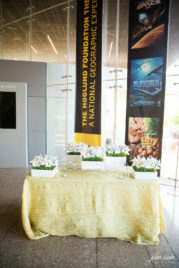 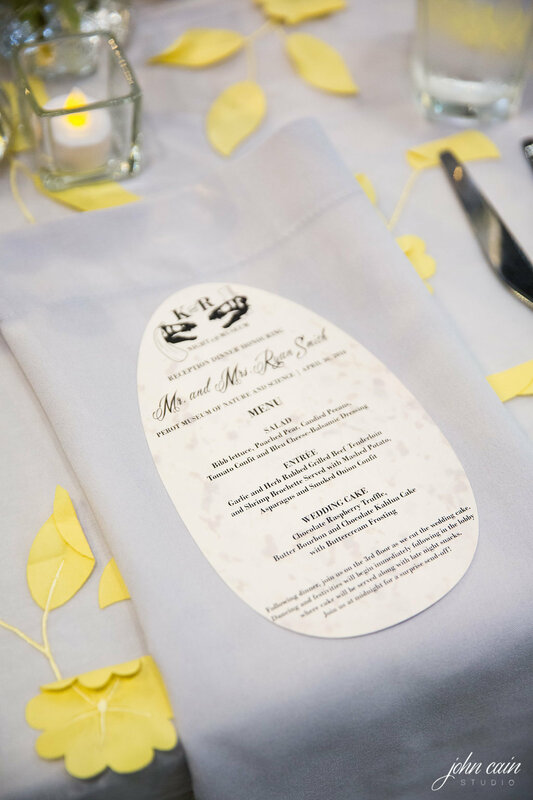 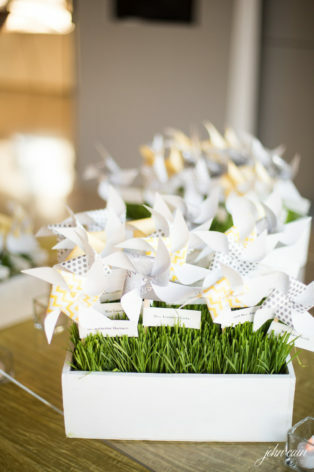 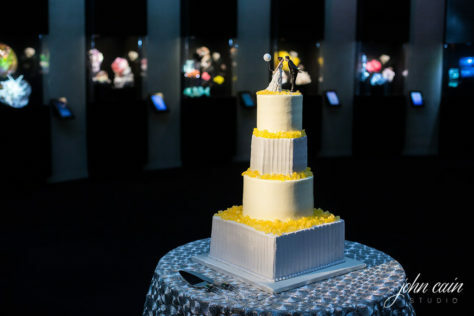 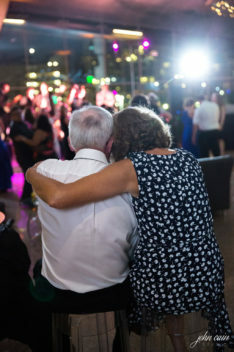 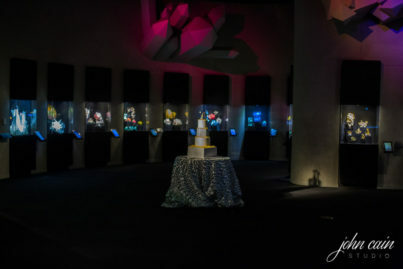 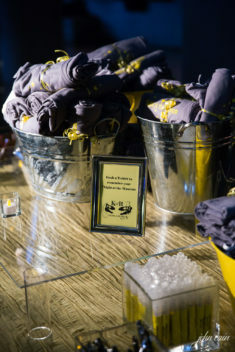 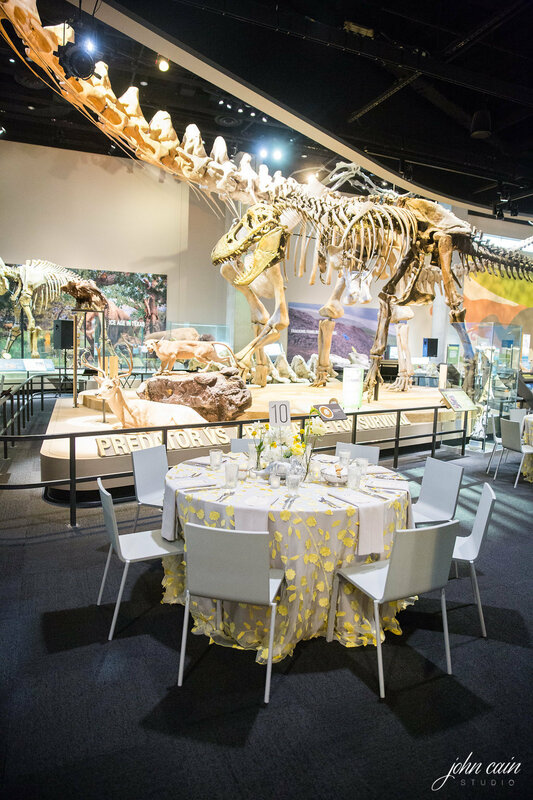 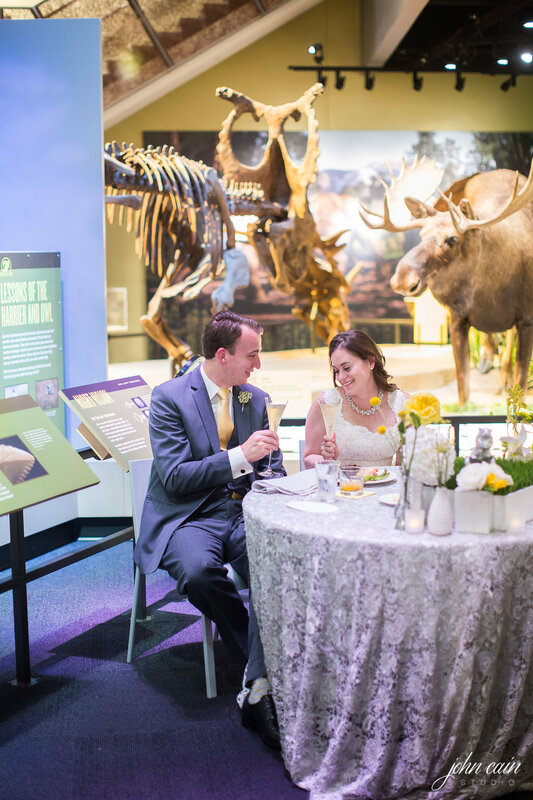 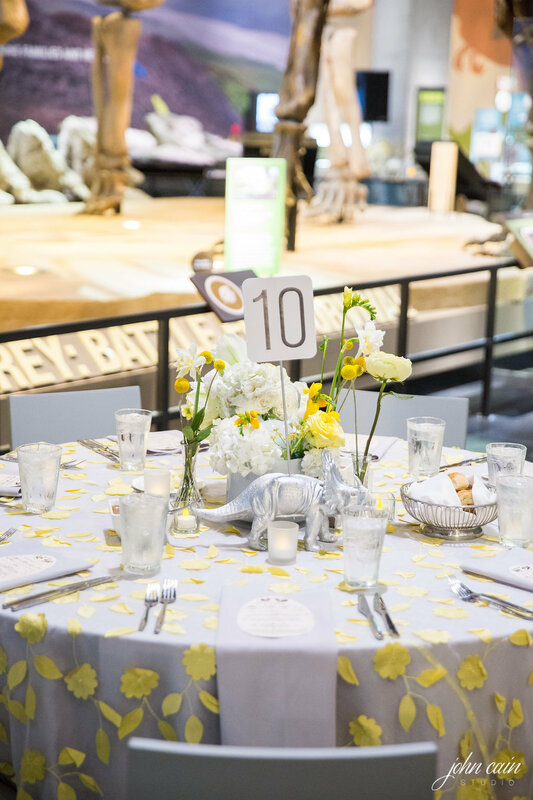 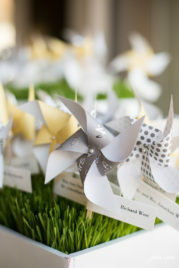 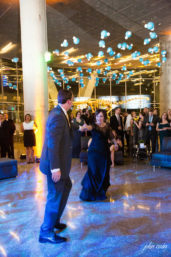 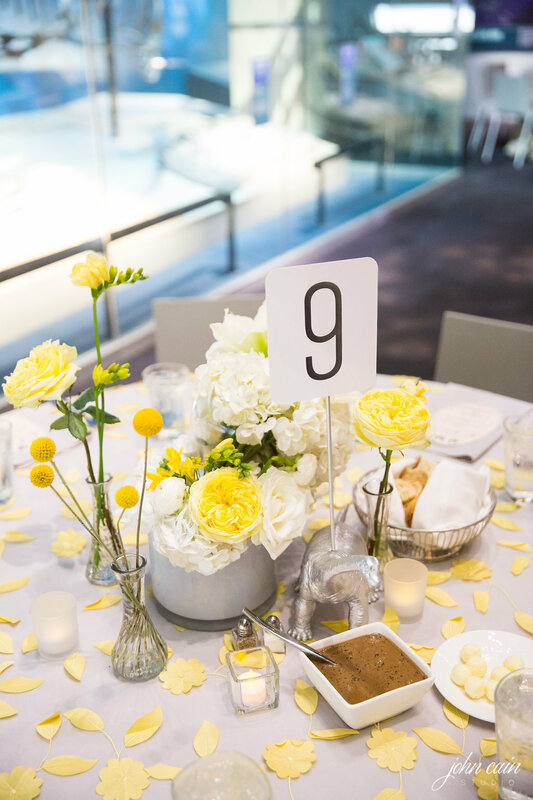 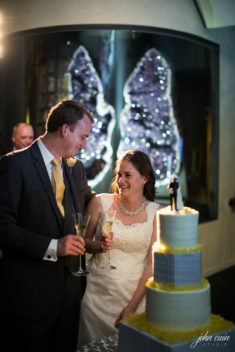 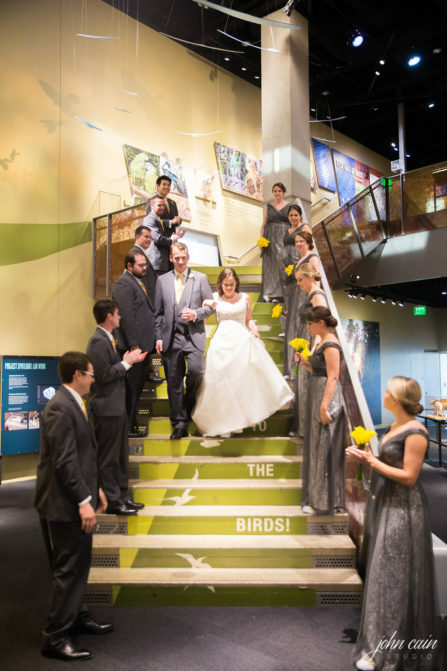 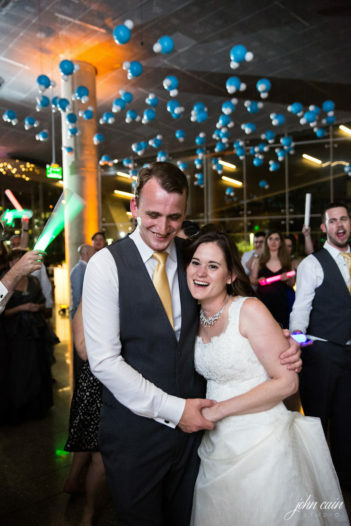 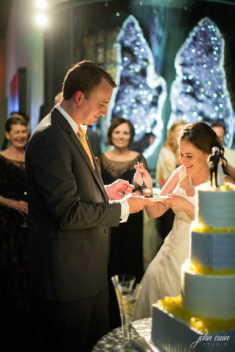 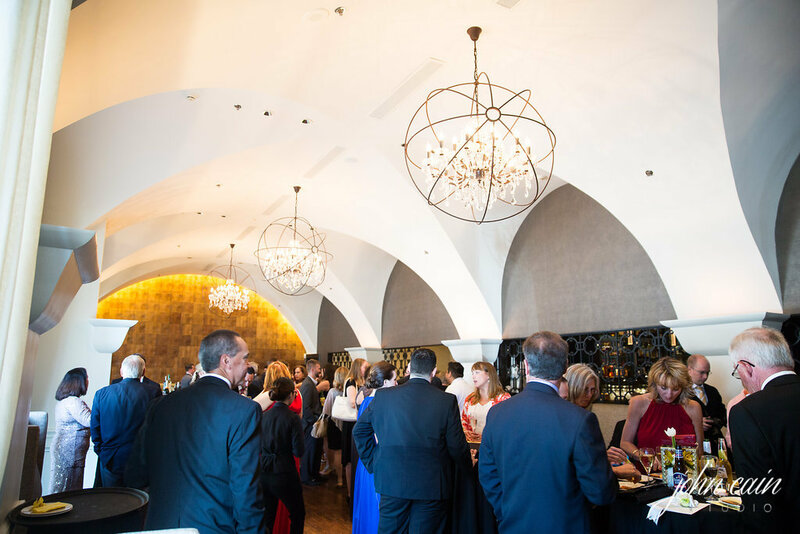 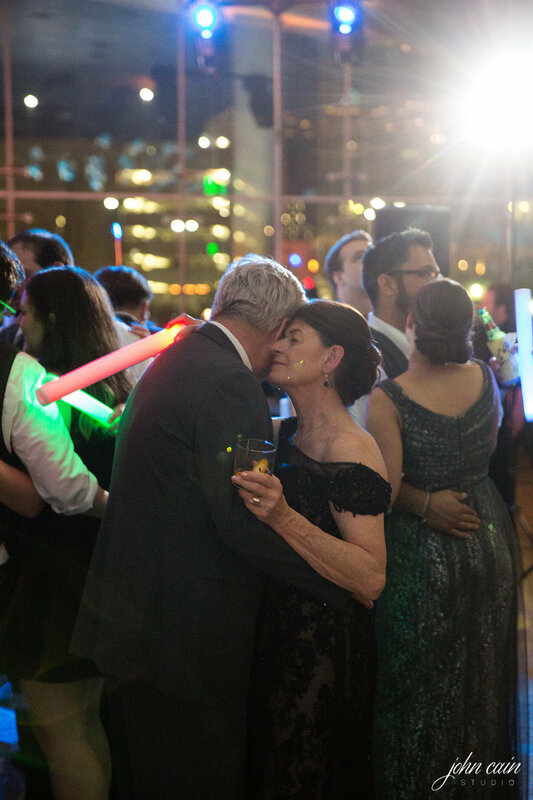 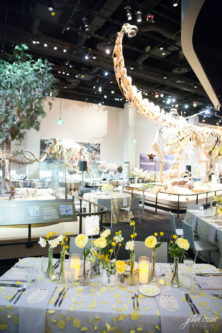 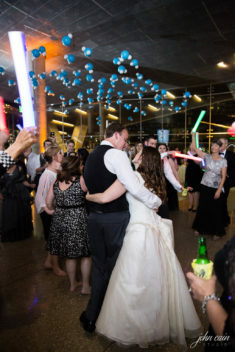 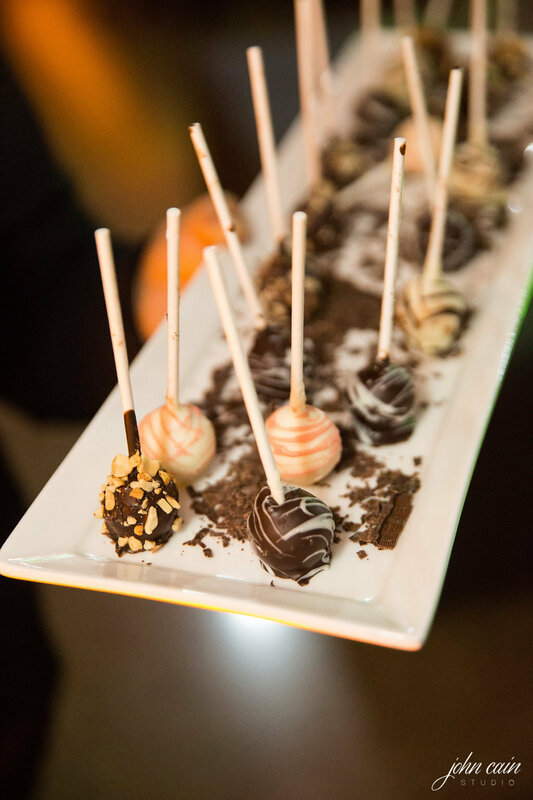 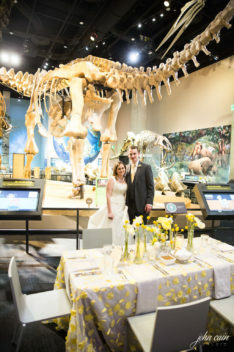 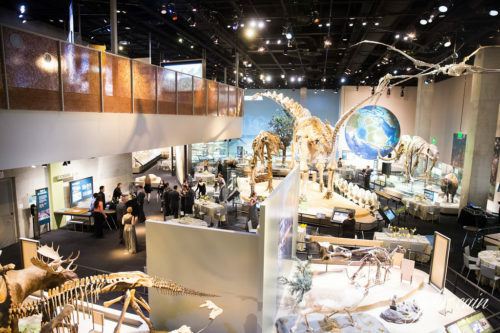 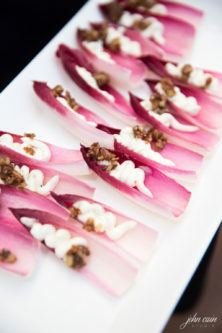 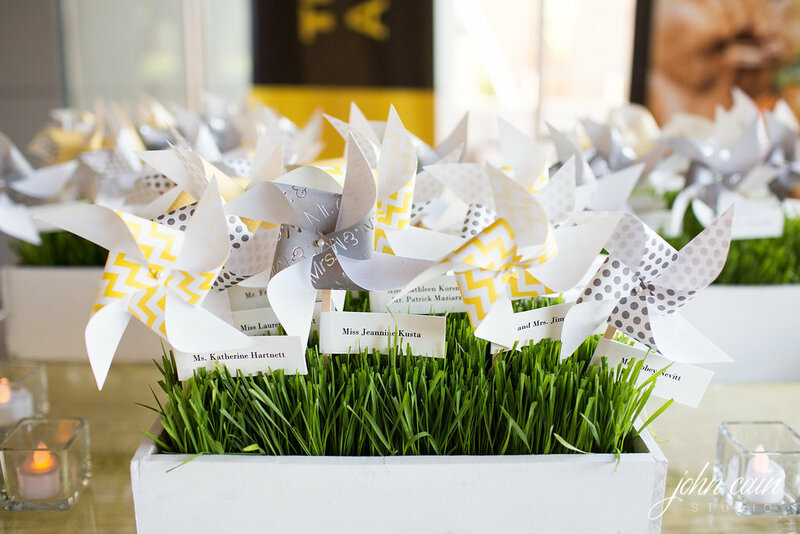 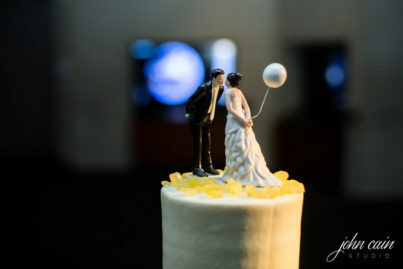 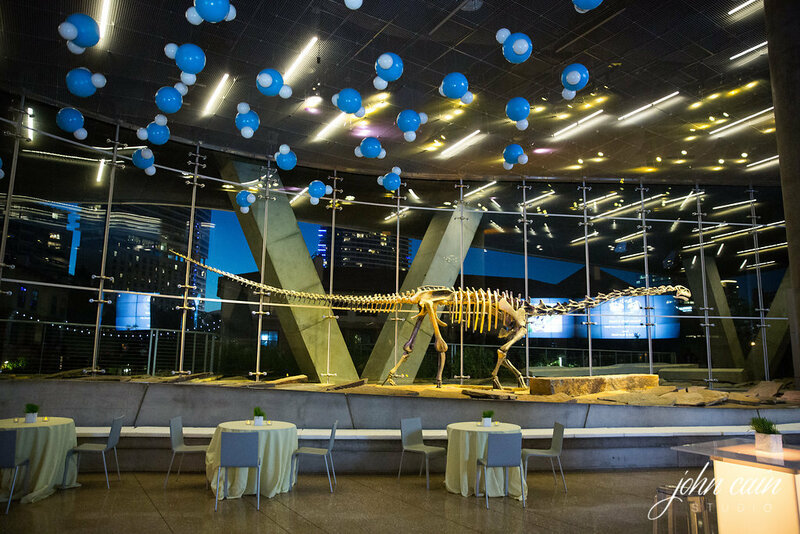 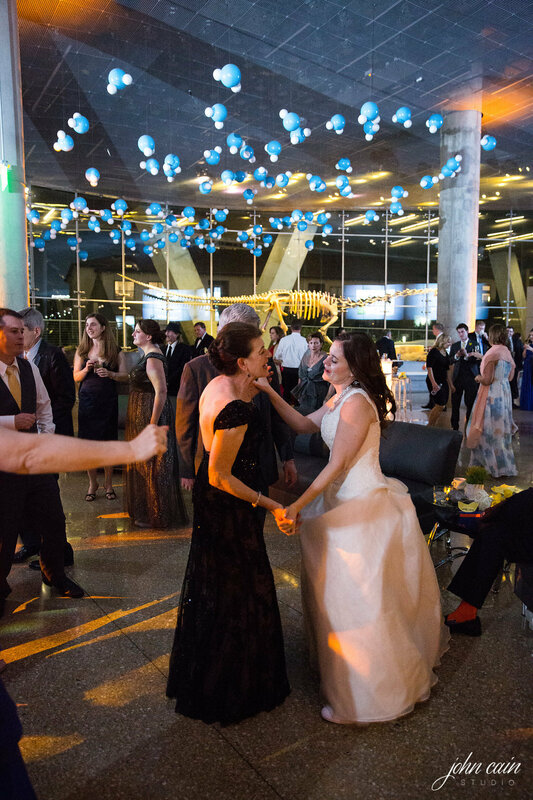 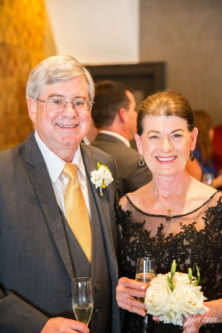 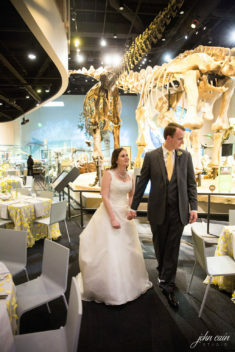 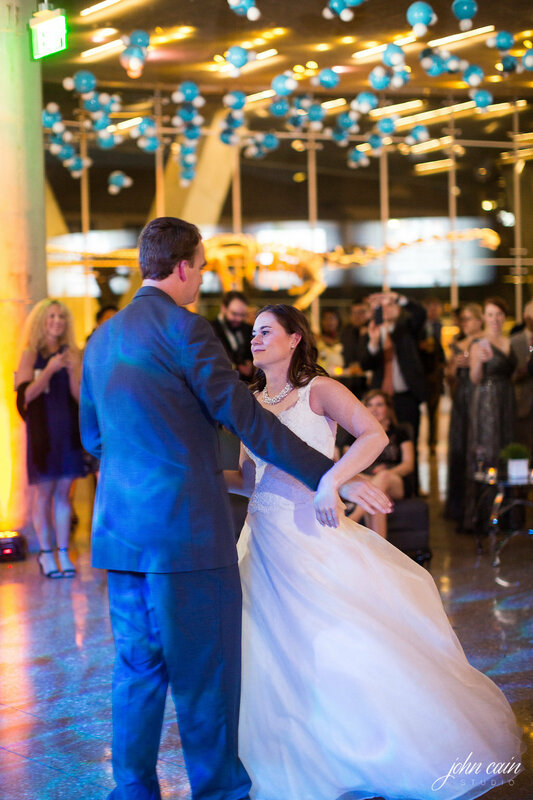 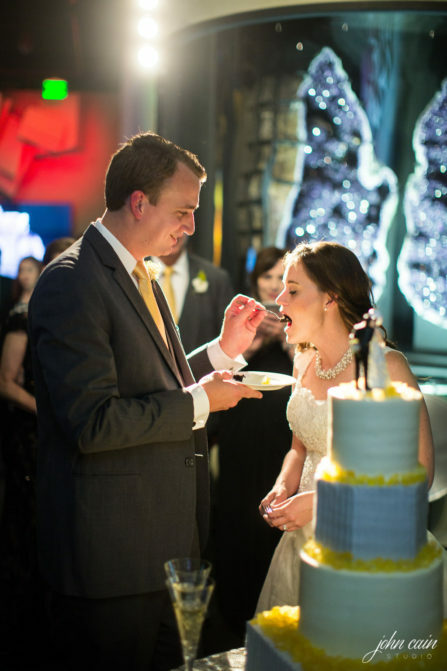 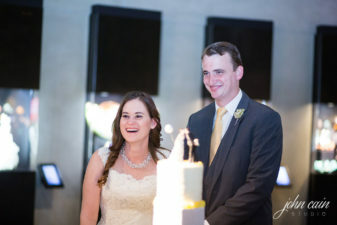 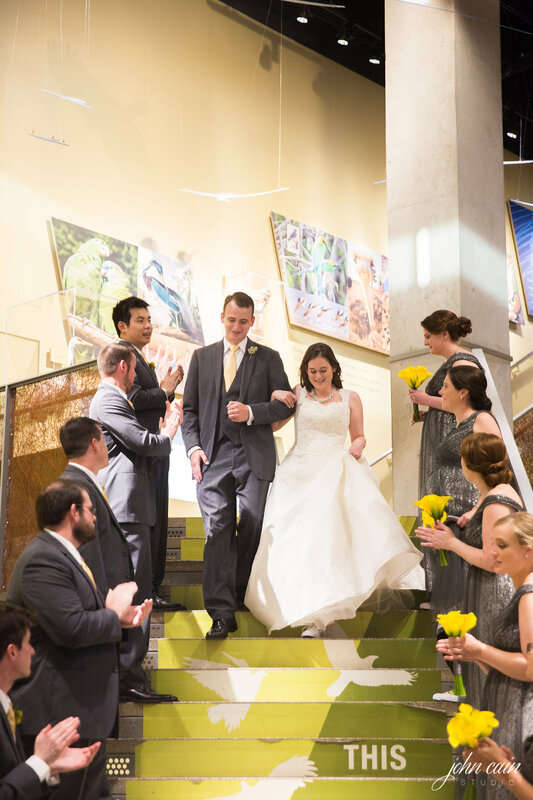 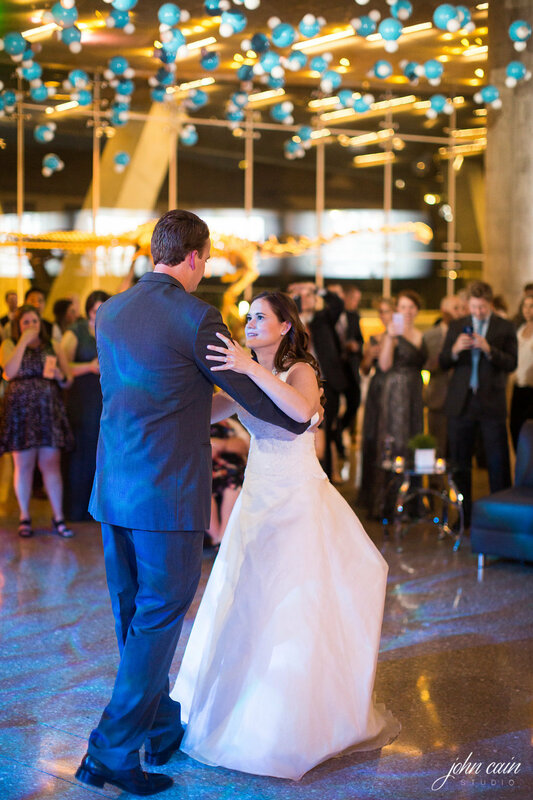 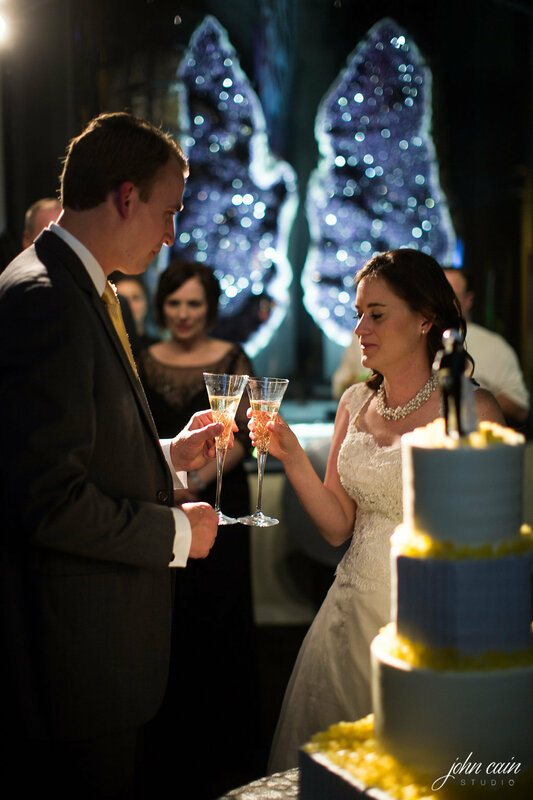 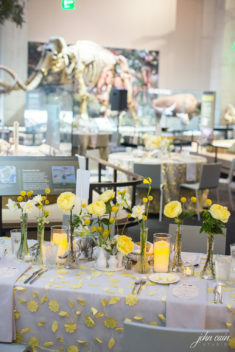 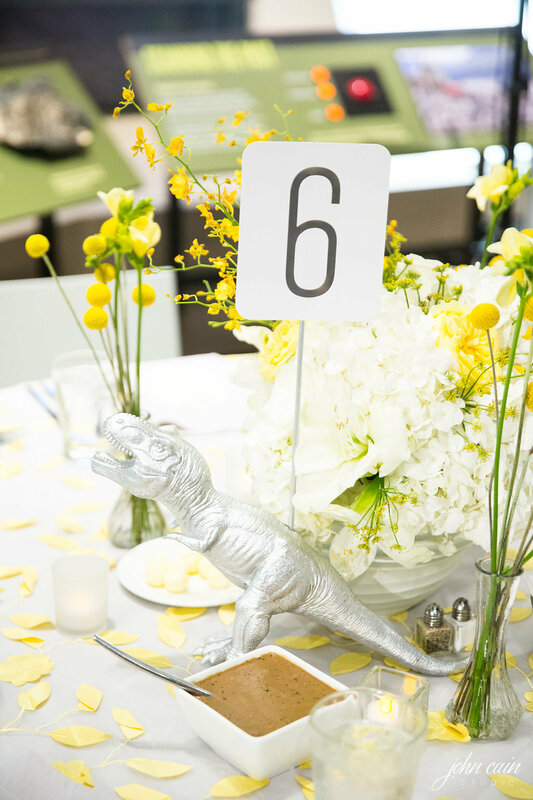 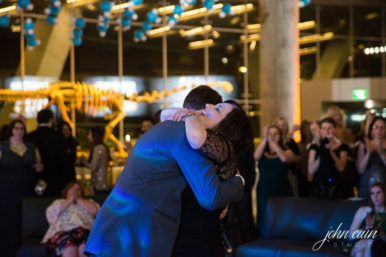 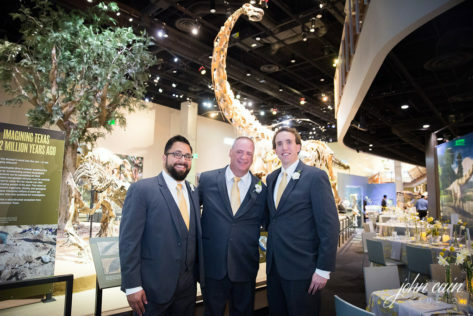 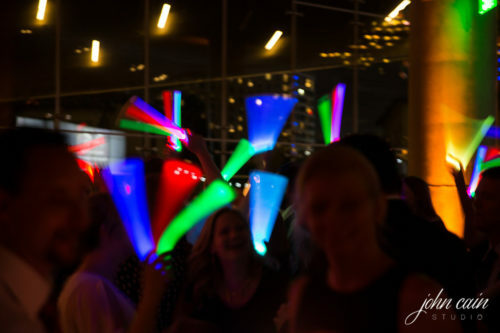 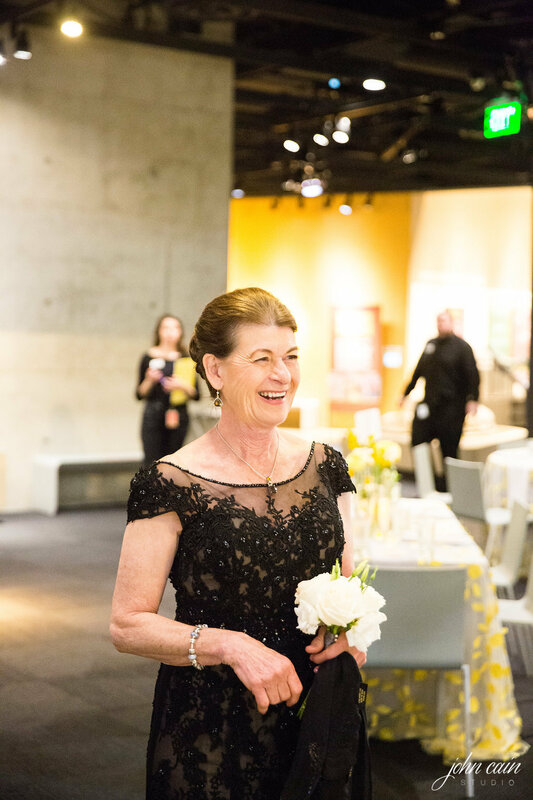 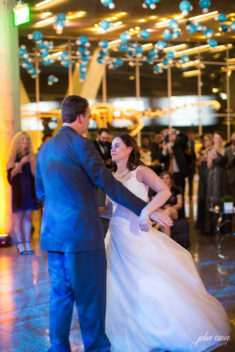 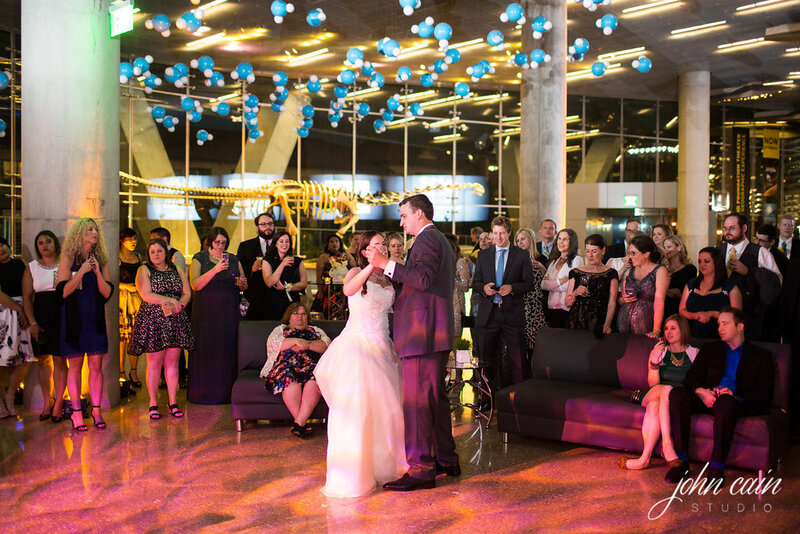 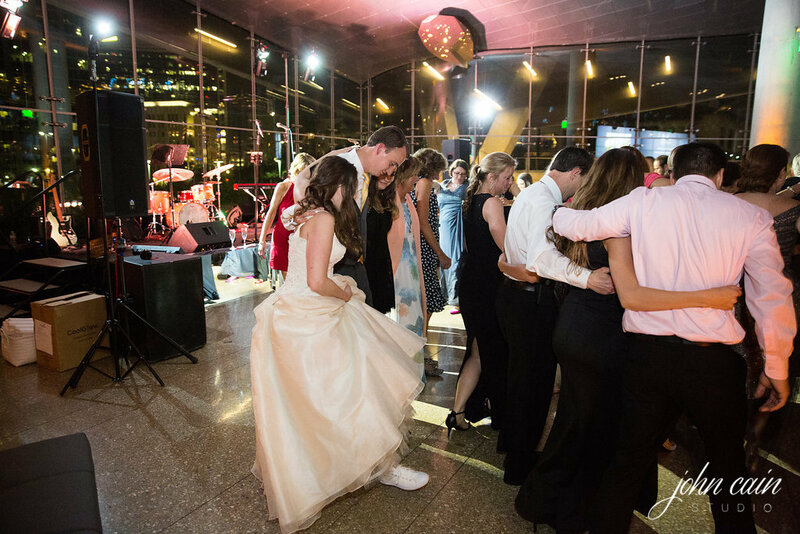 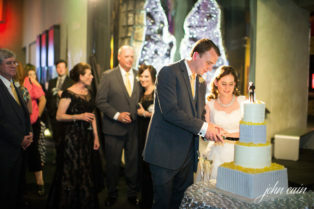 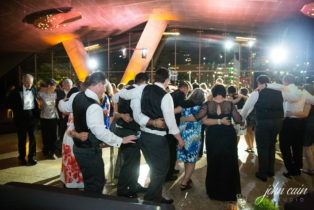 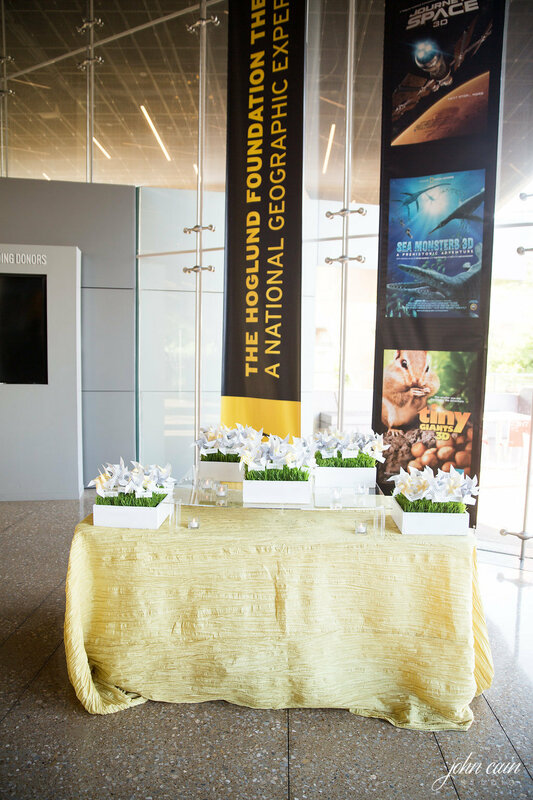 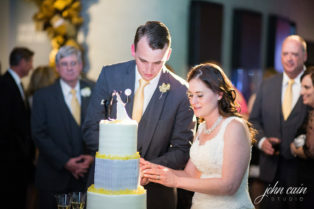 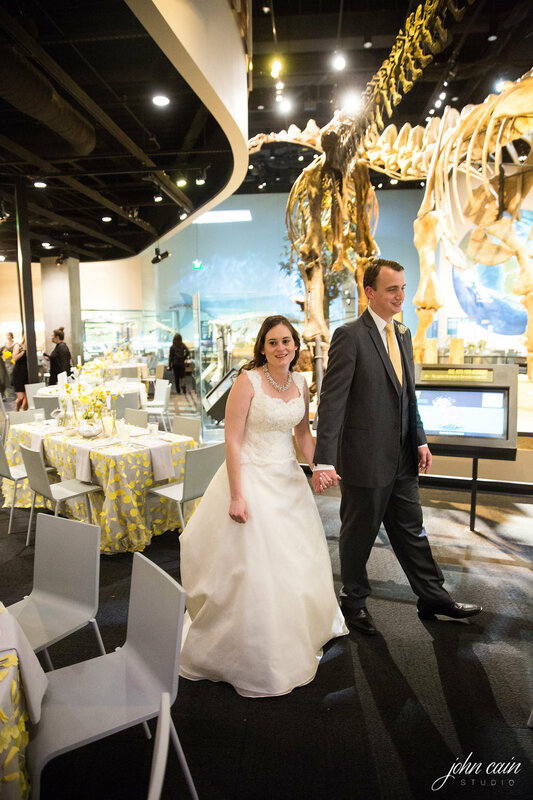 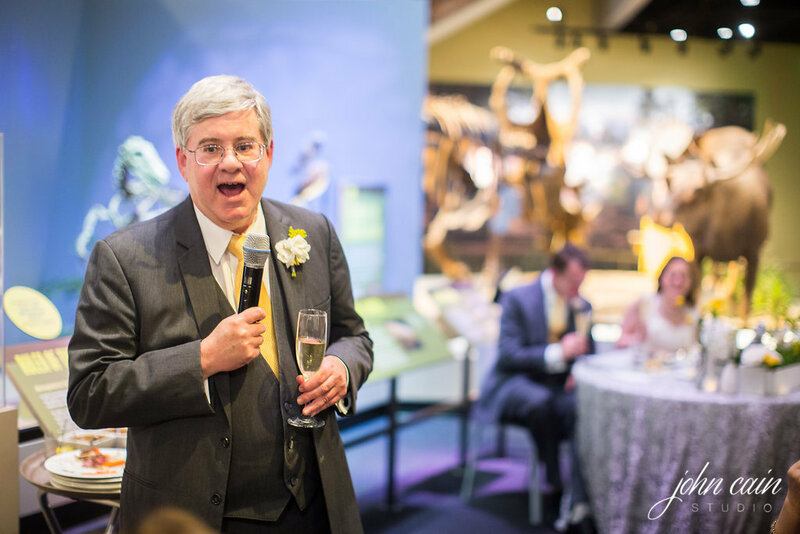 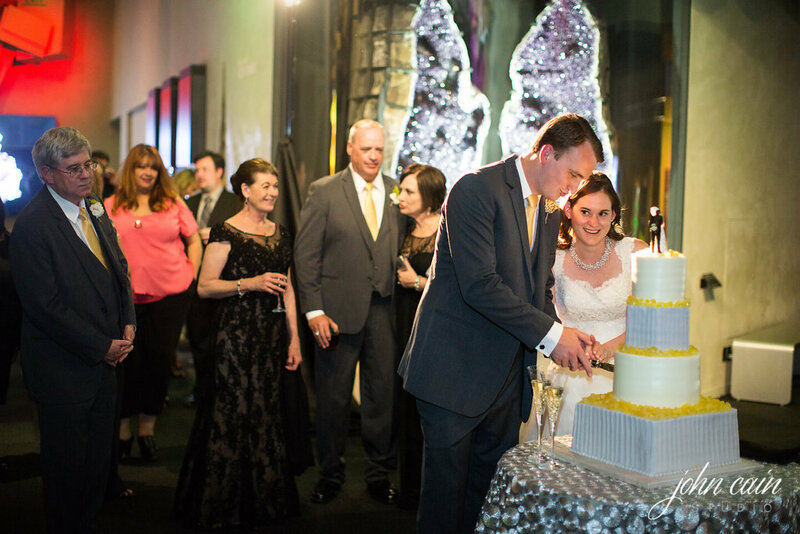 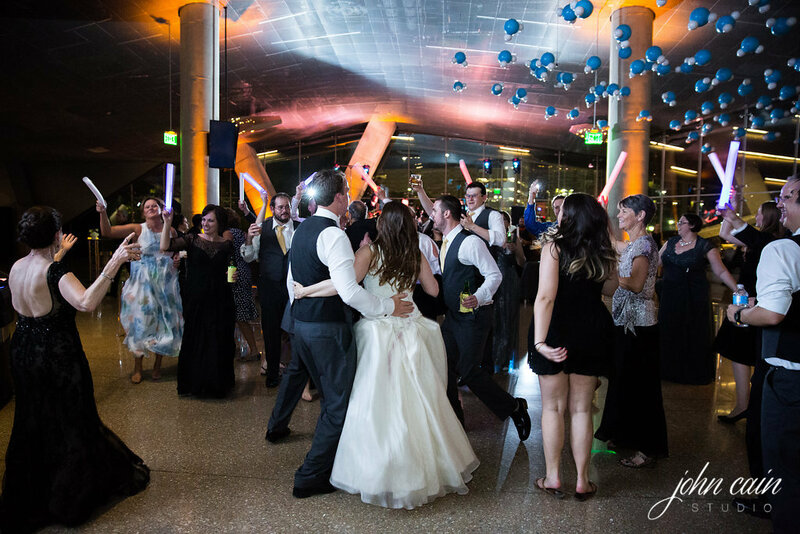 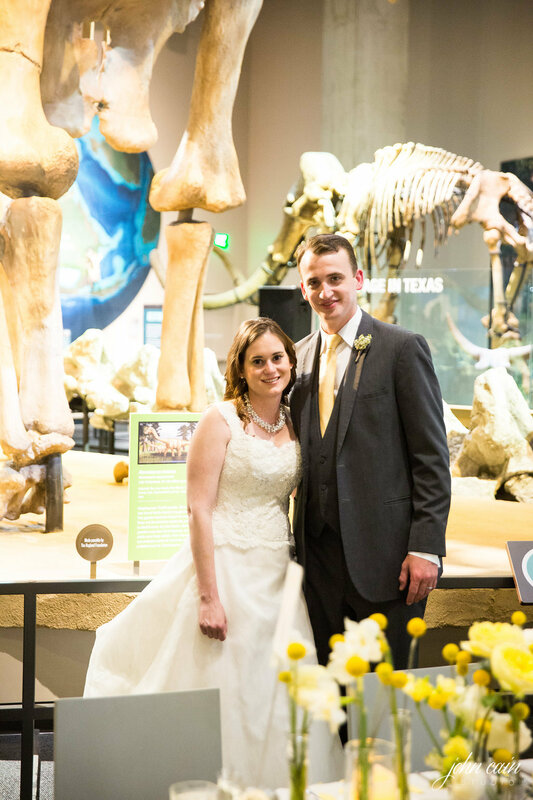 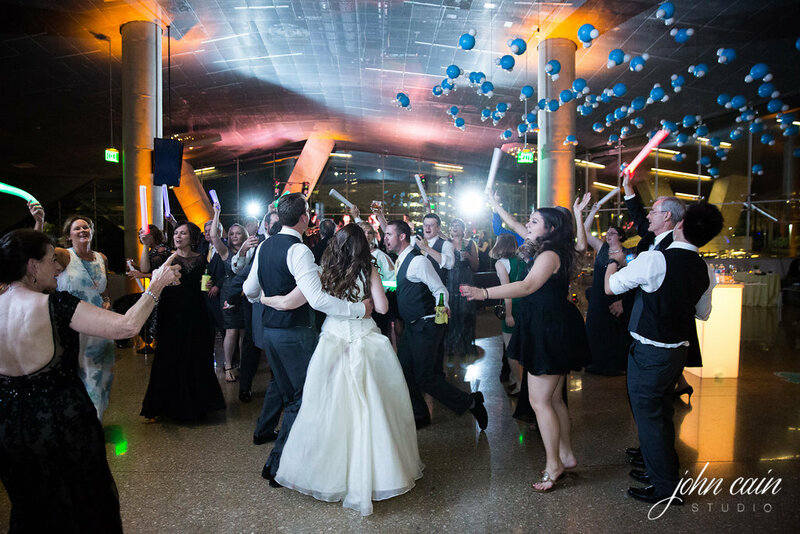 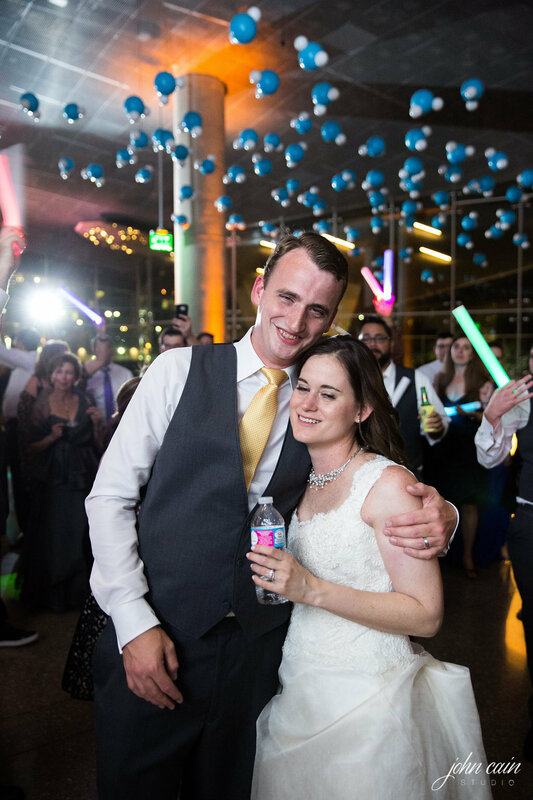 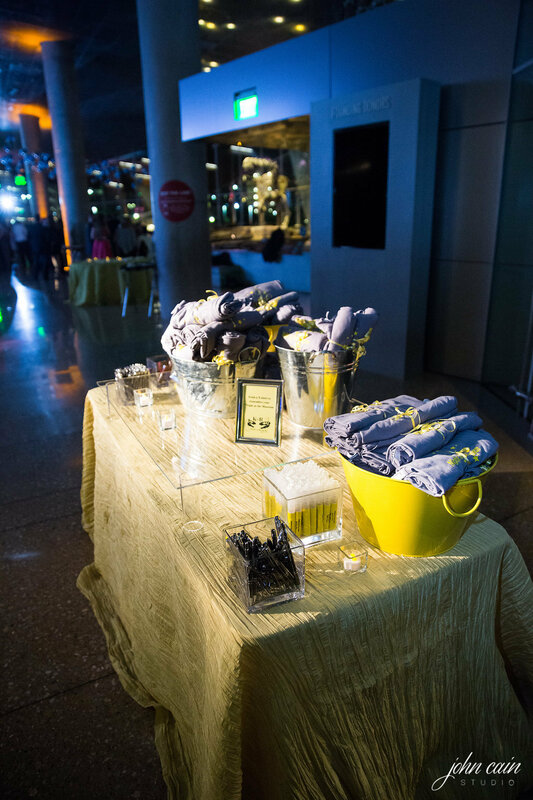 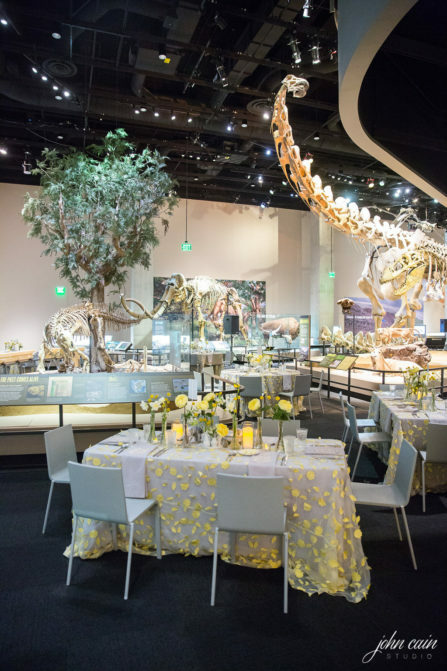 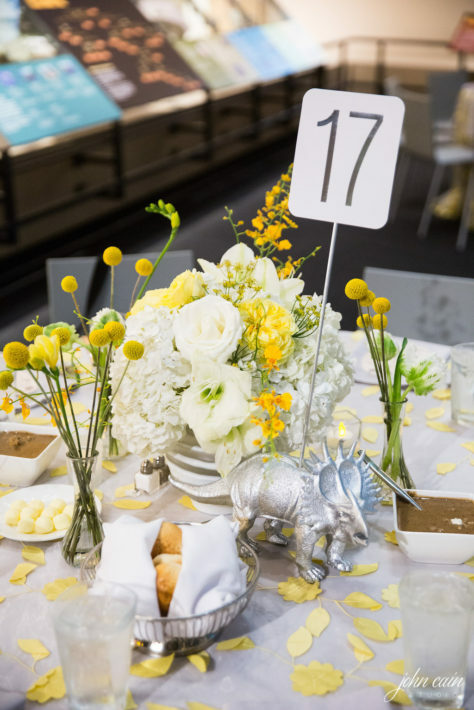 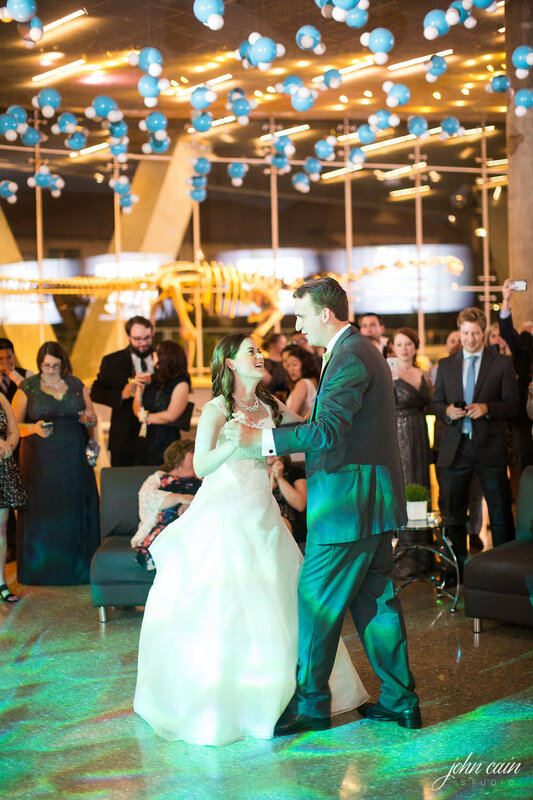 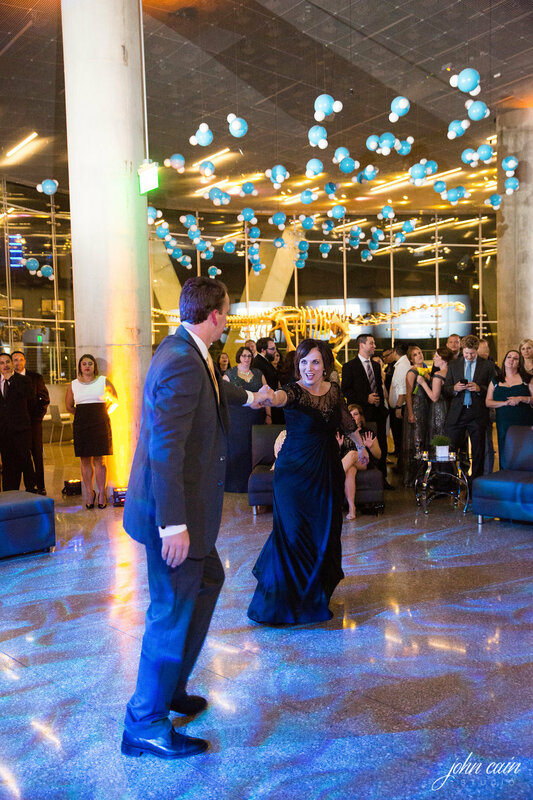 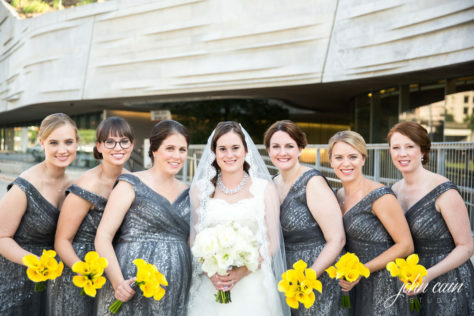 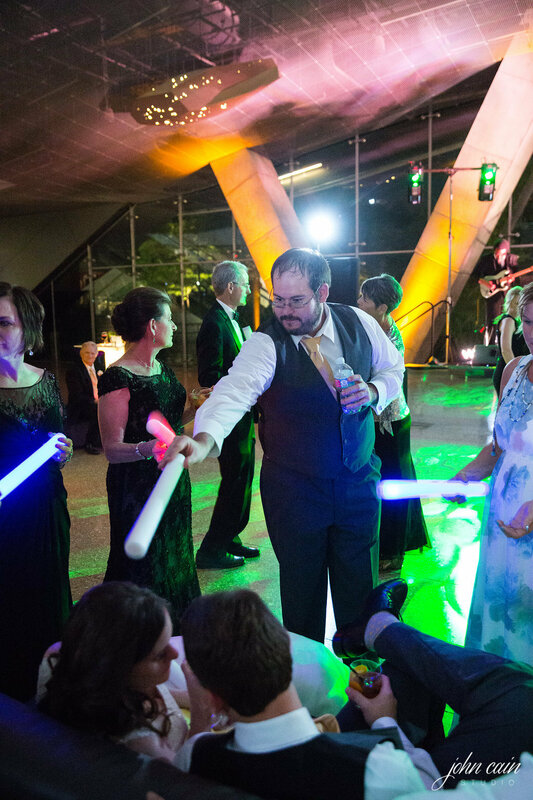 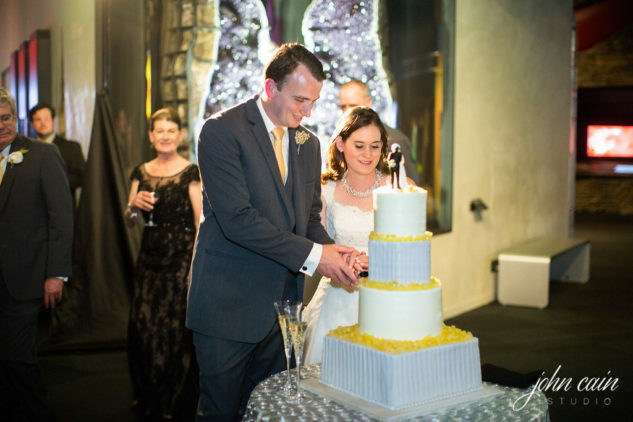 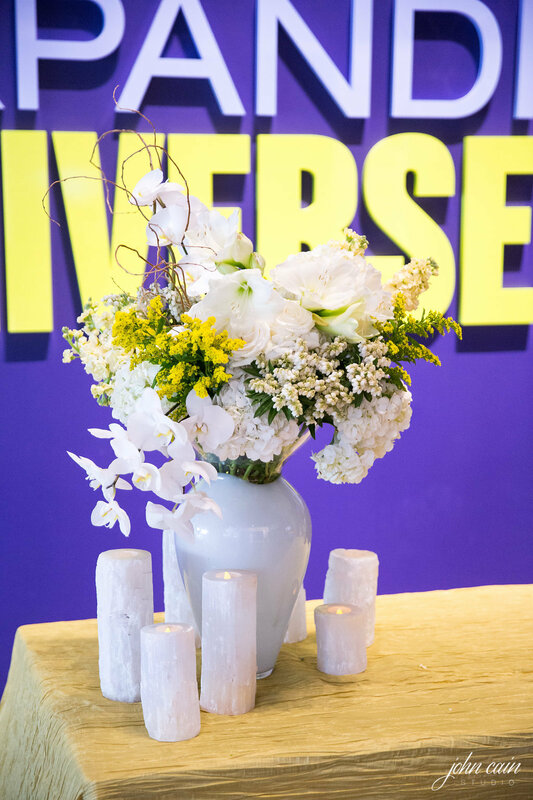 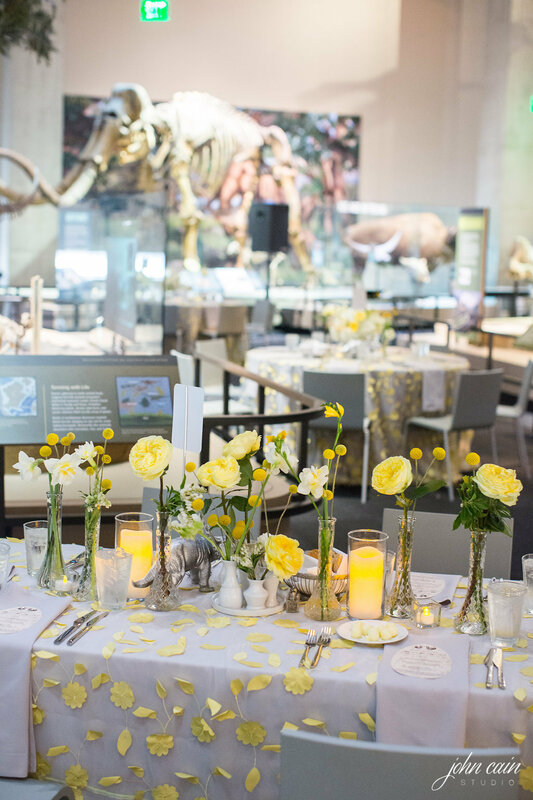 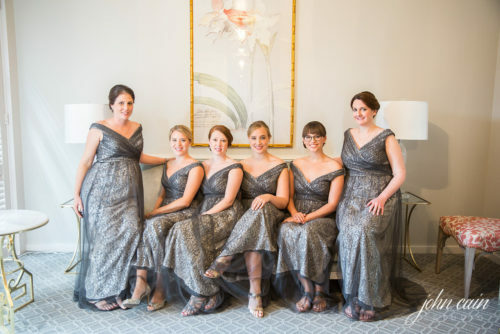 Their friends and family were in for a treat at the Perot Museum of Natural Science where the evening consisted of eating dinner with the dinosaurs, cake cutting among on the precious gems and dancing under the “Molecule” stars. 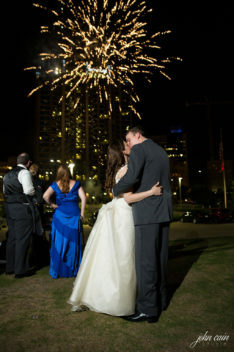 This perfect April night ended with tacos by the giant frogs for a late night snack and a surprise firework show. 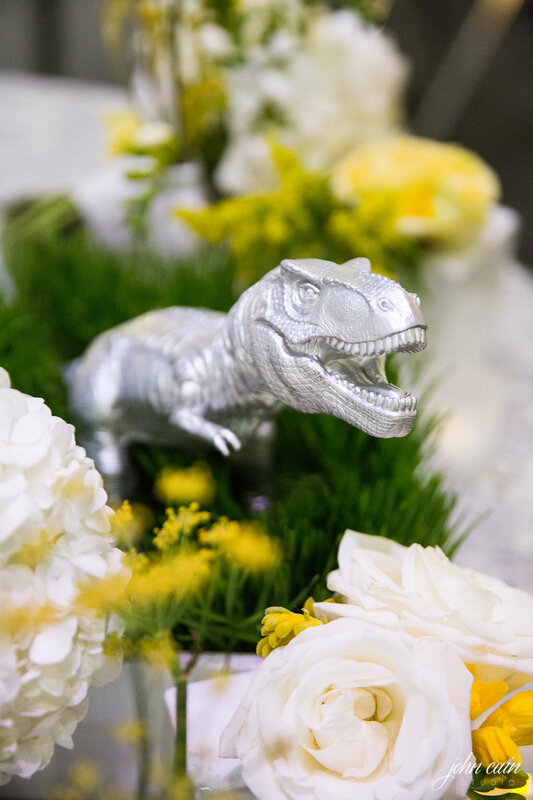 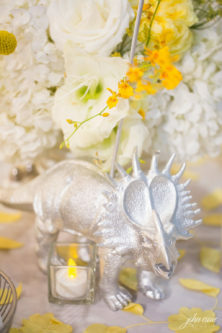 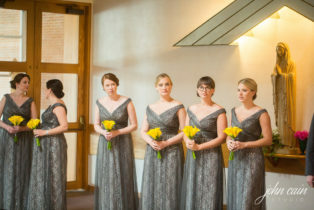 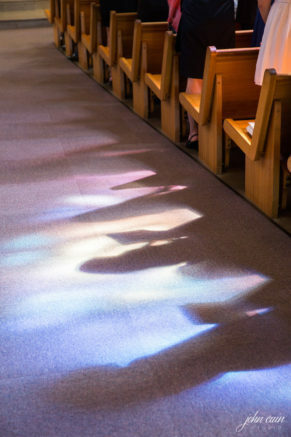 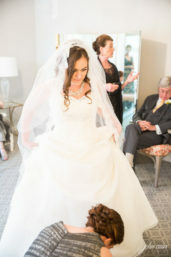 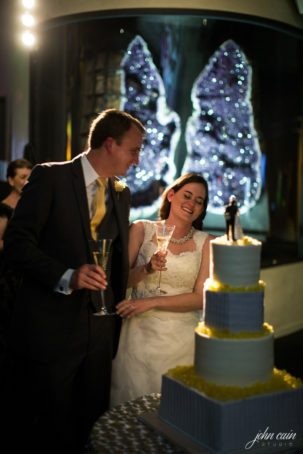 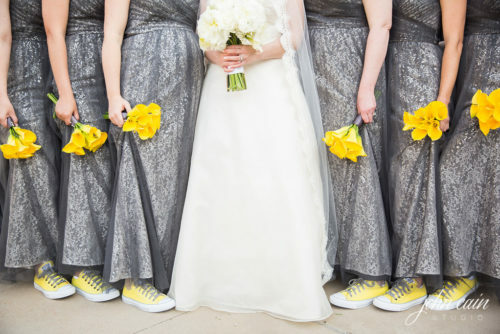 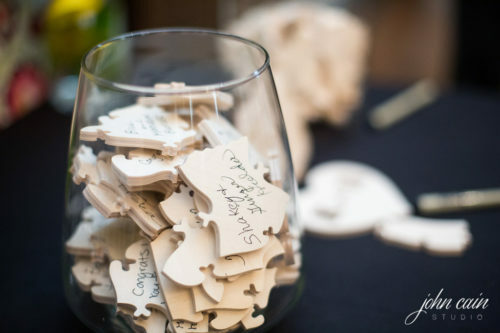 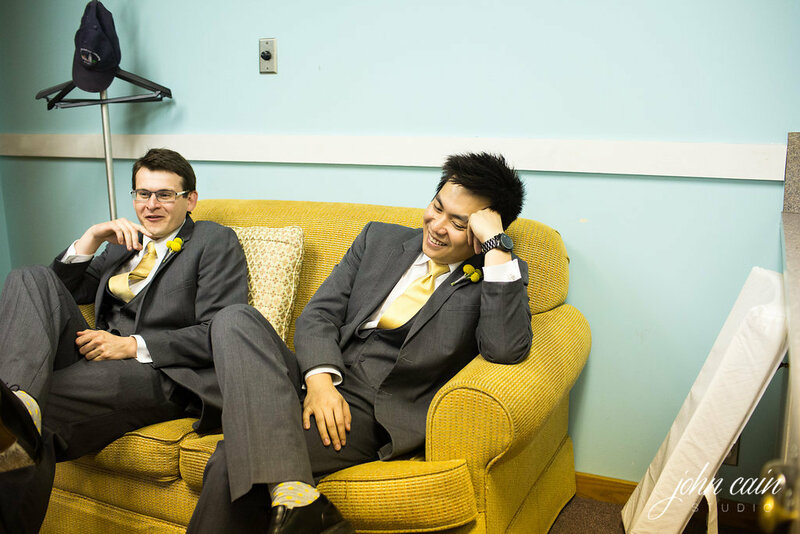 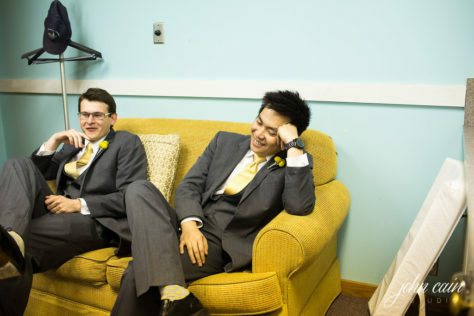 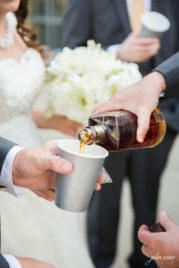 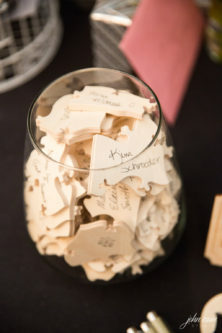 This wedding was DINO-mite! 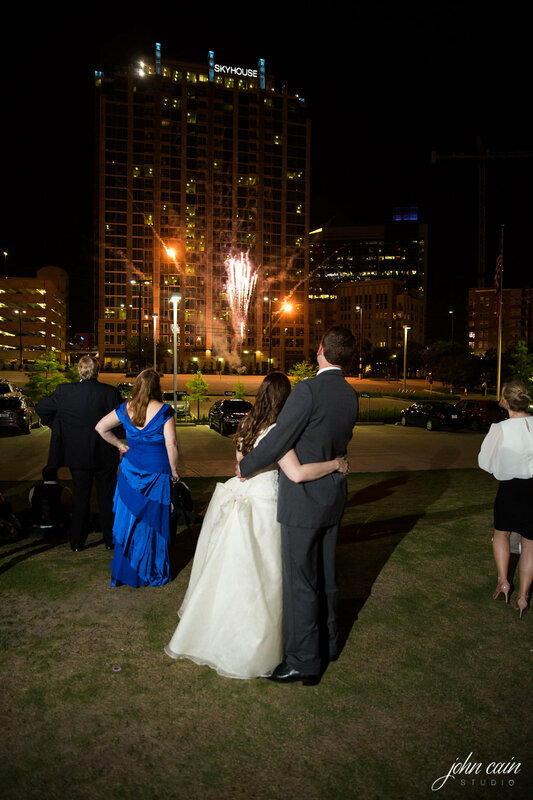 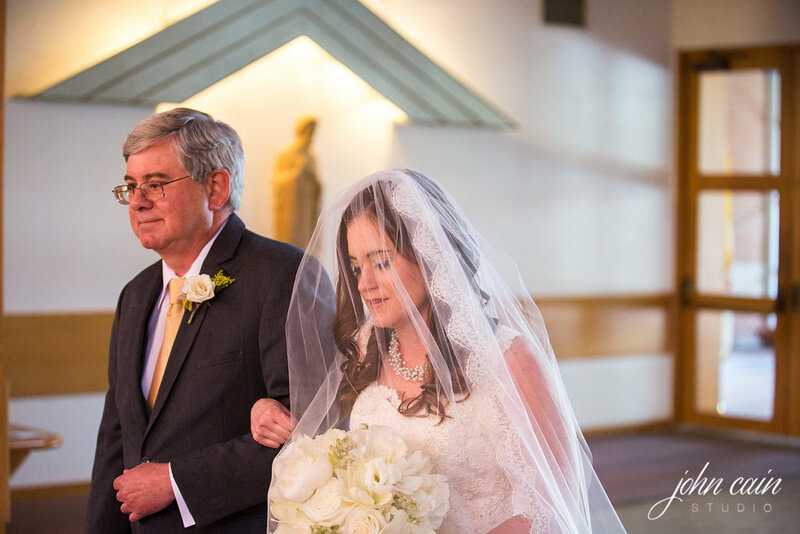 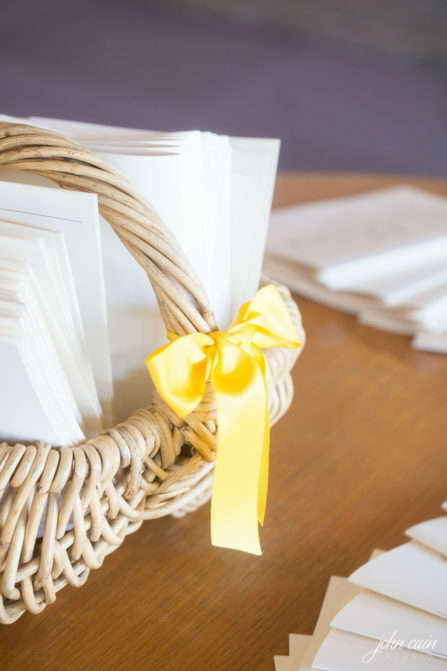 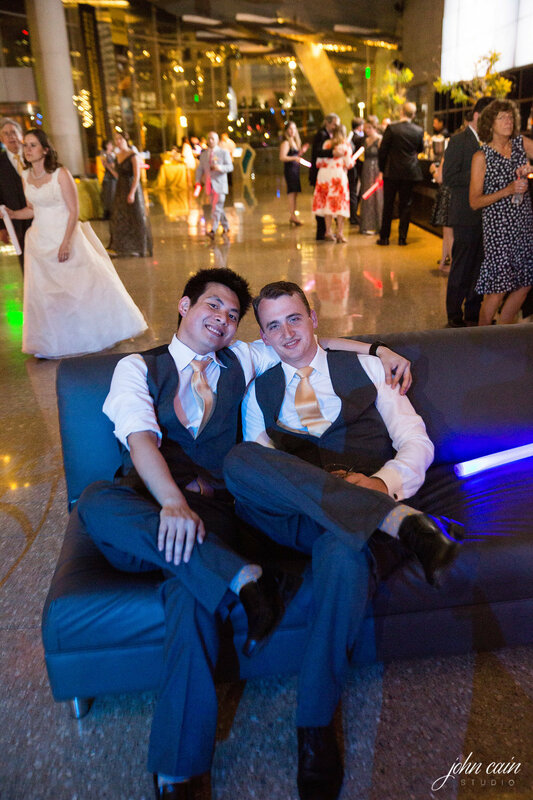 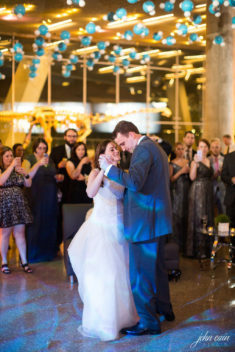 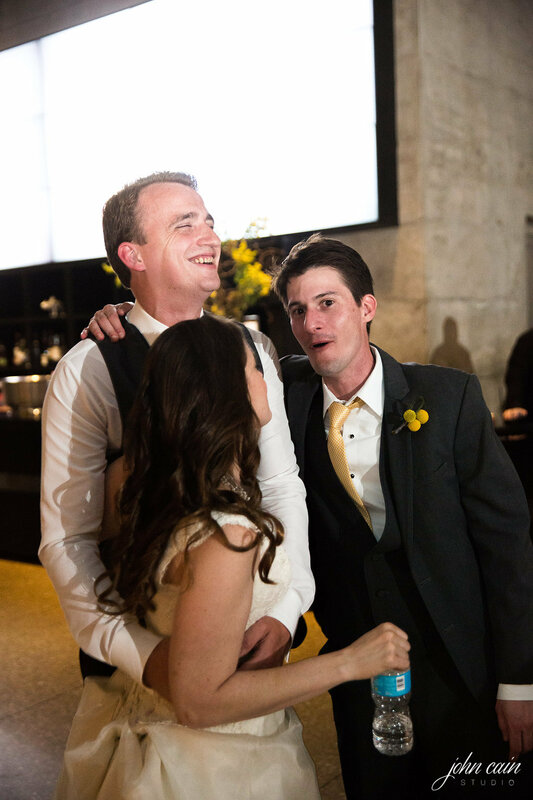 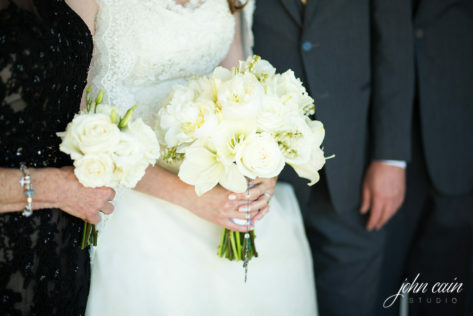 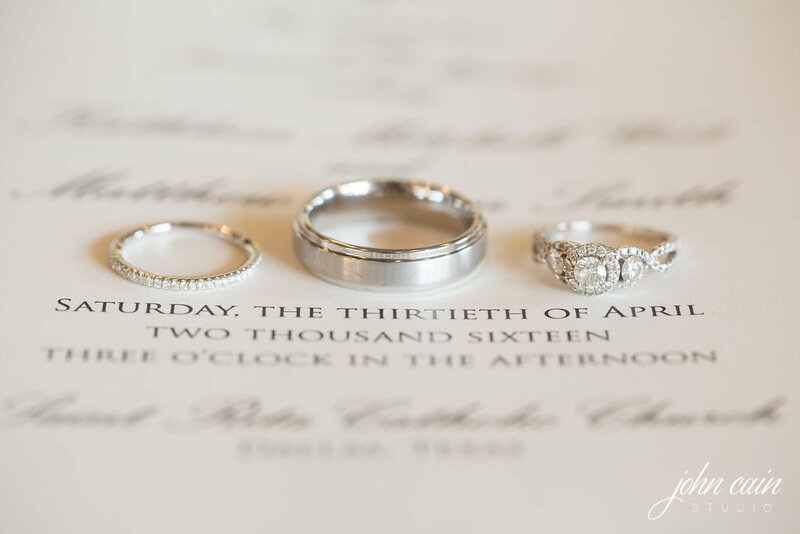 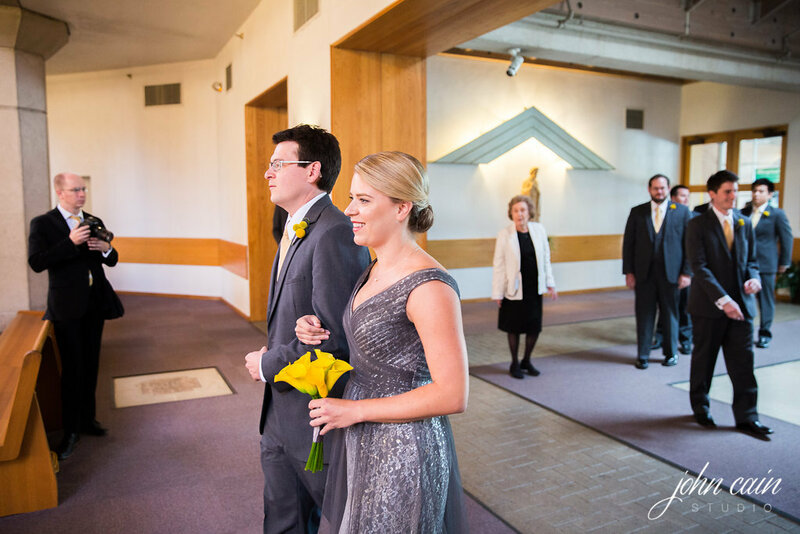 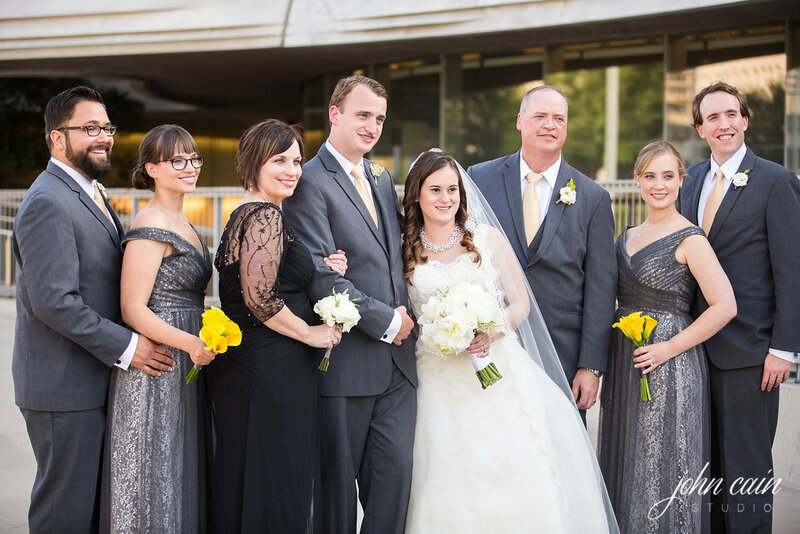 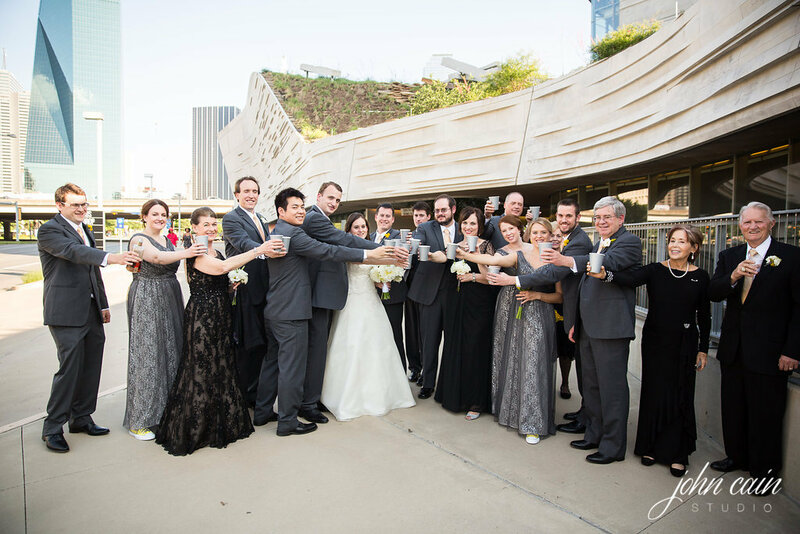 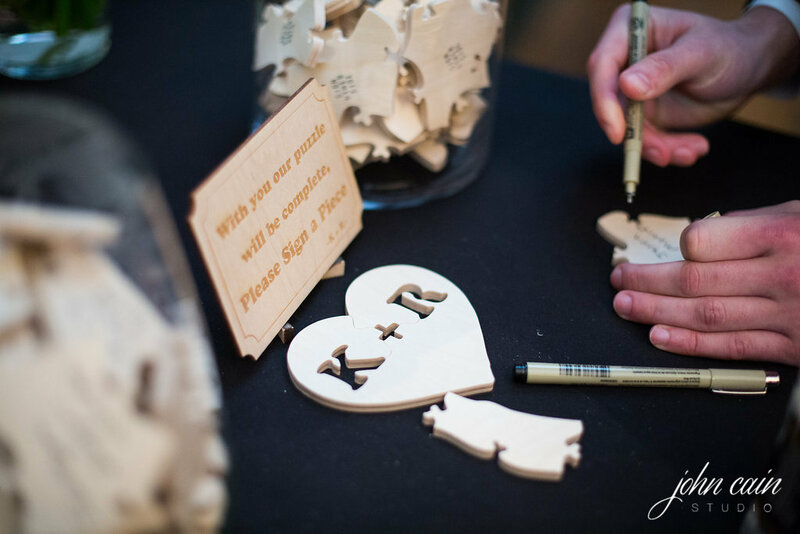 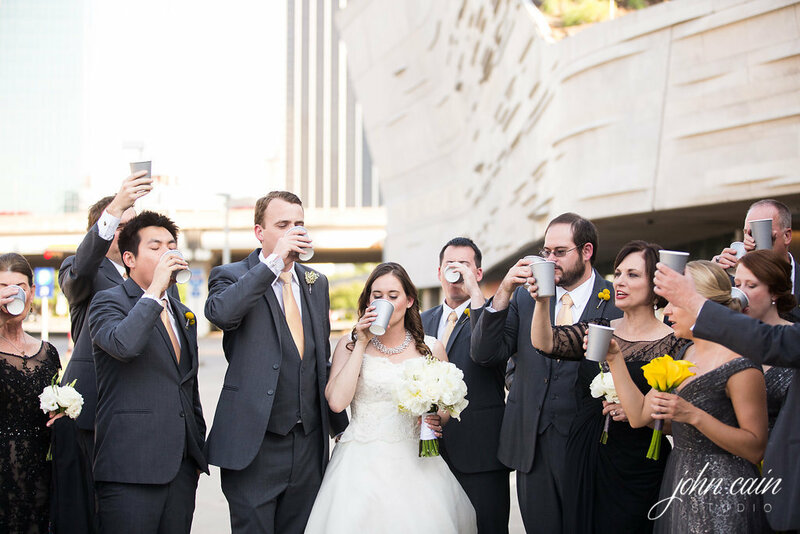 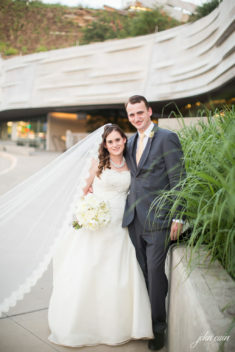 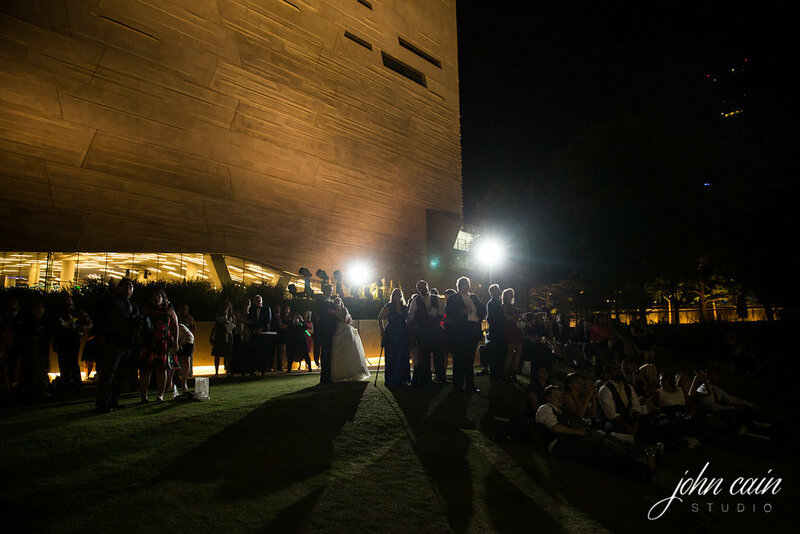 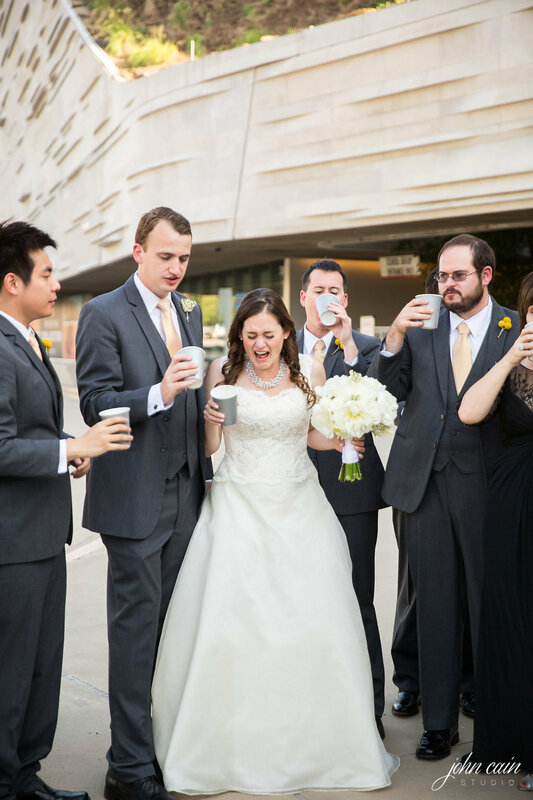 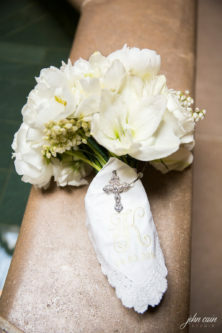 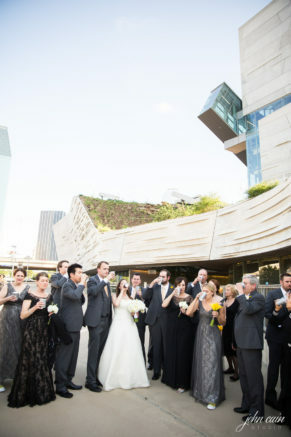 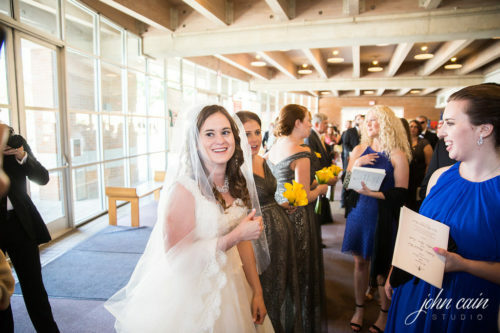 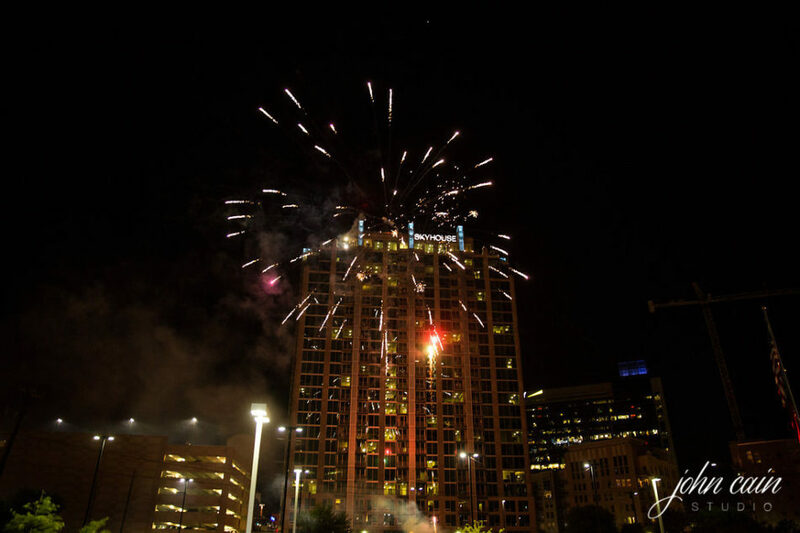 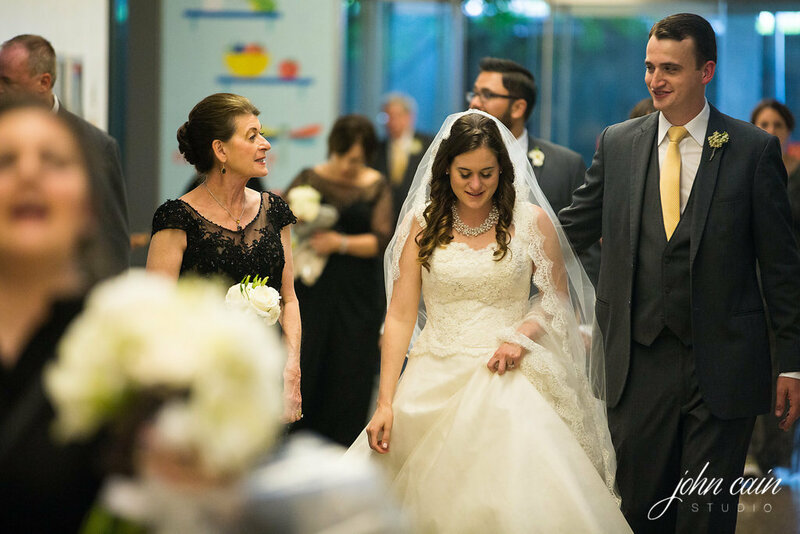 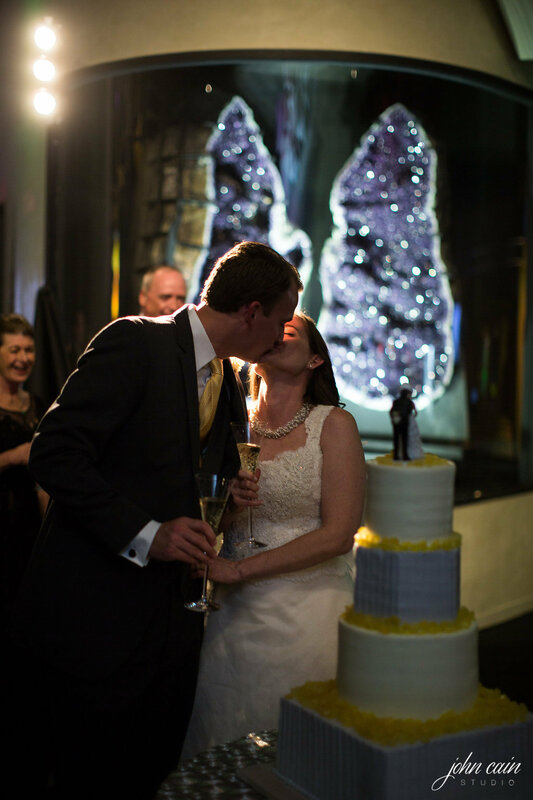 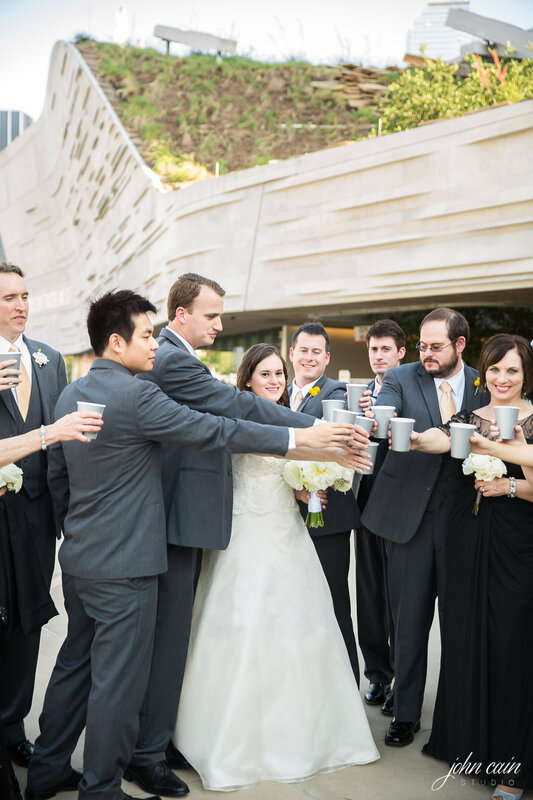 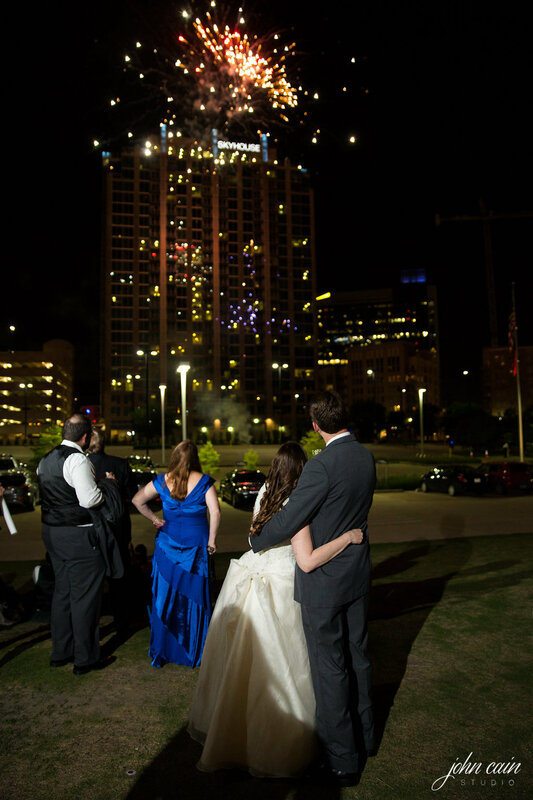 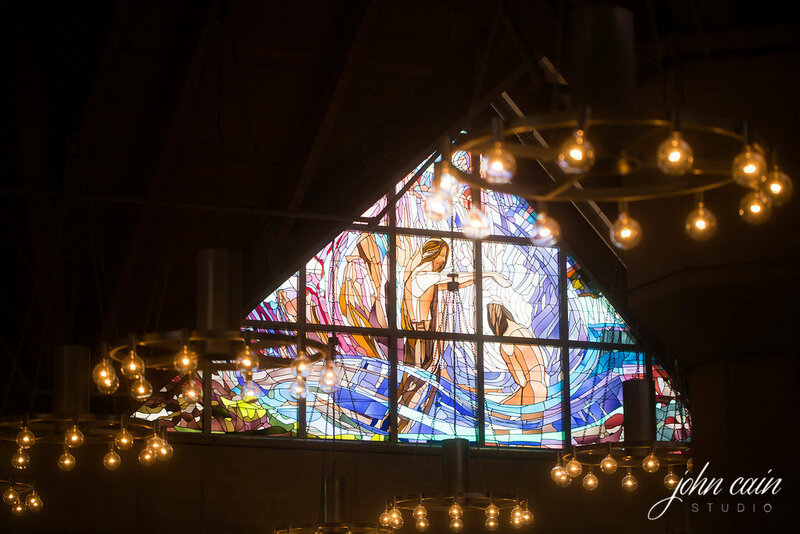 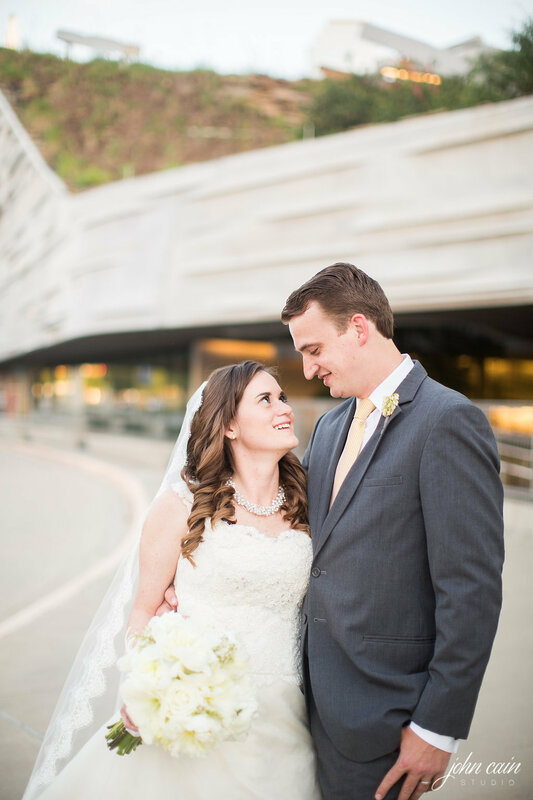 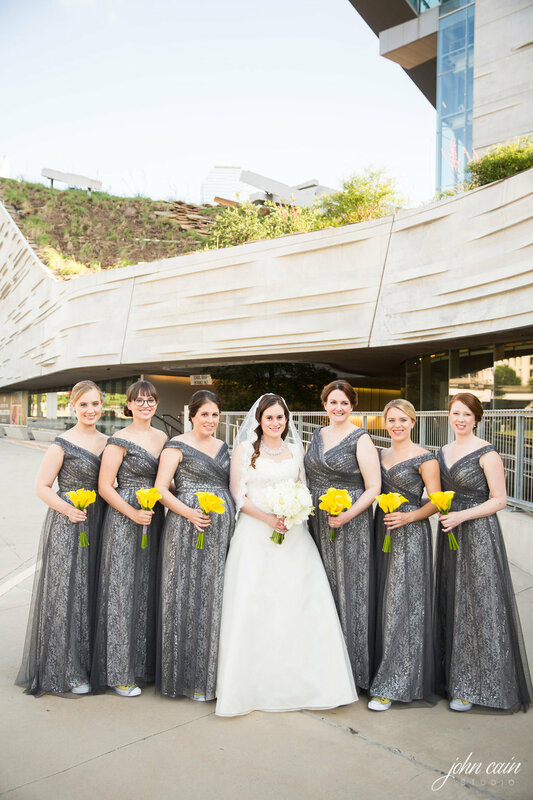 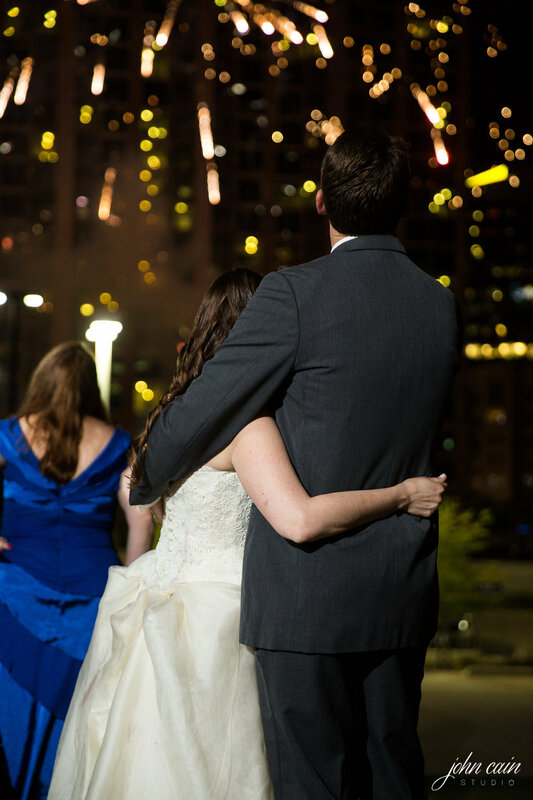 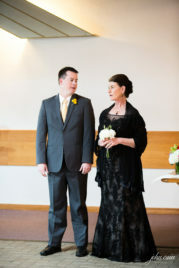 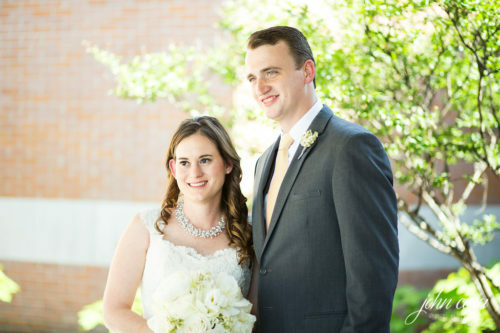 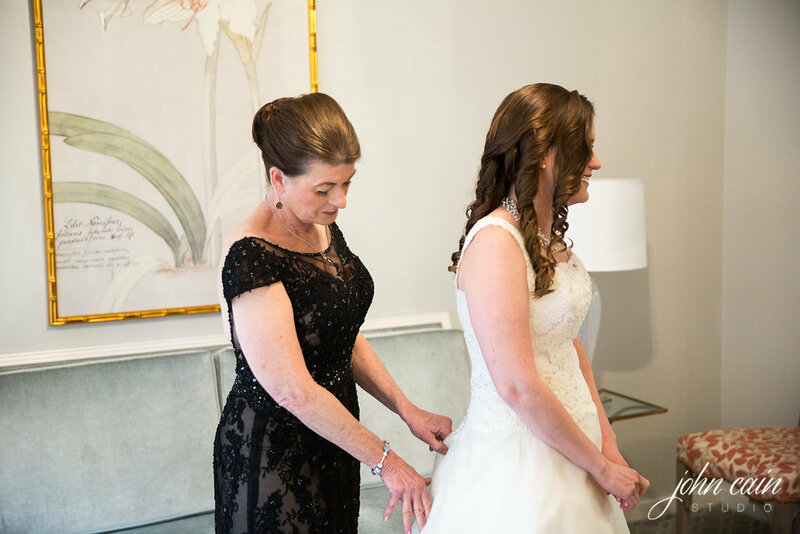 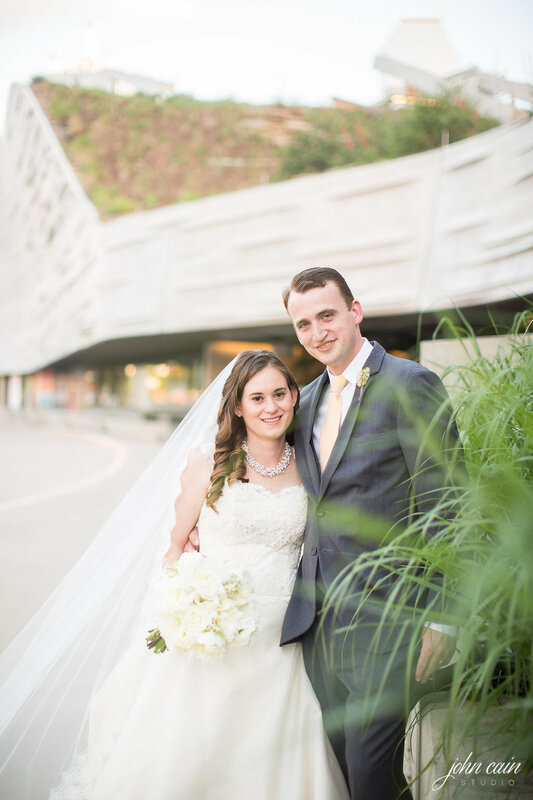 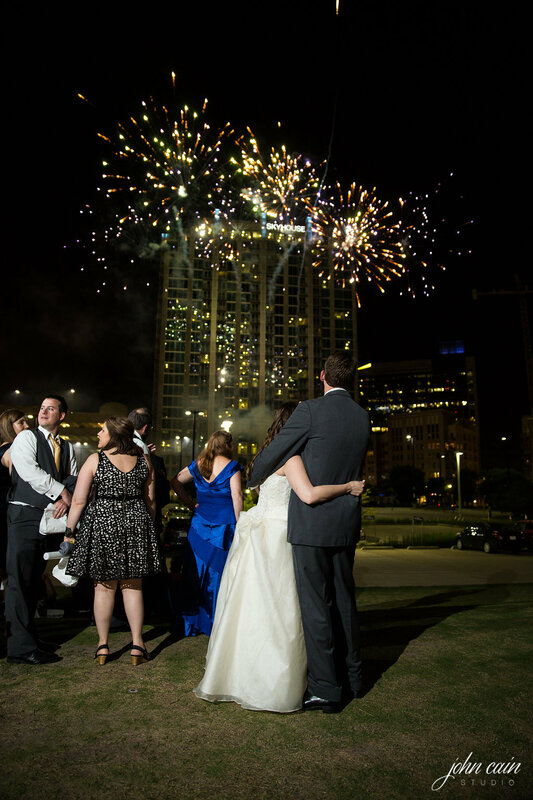 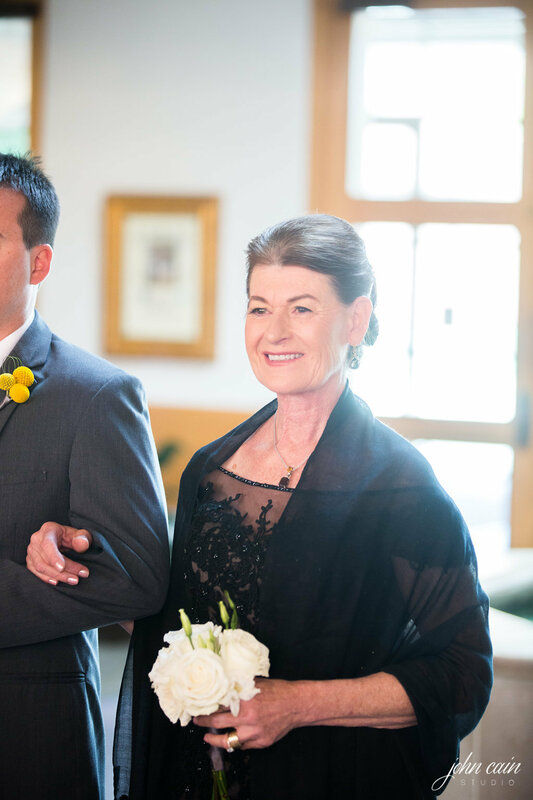 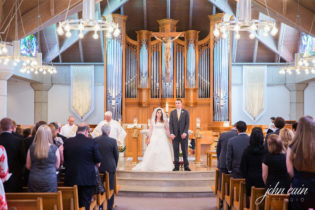 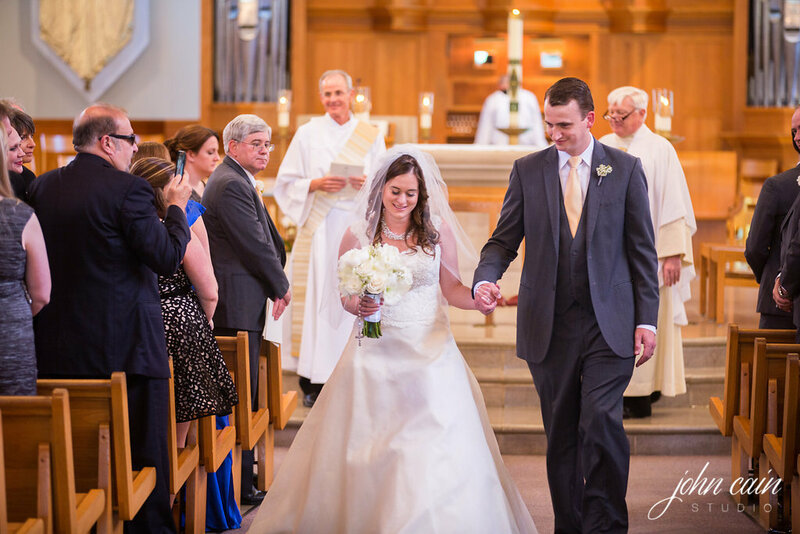 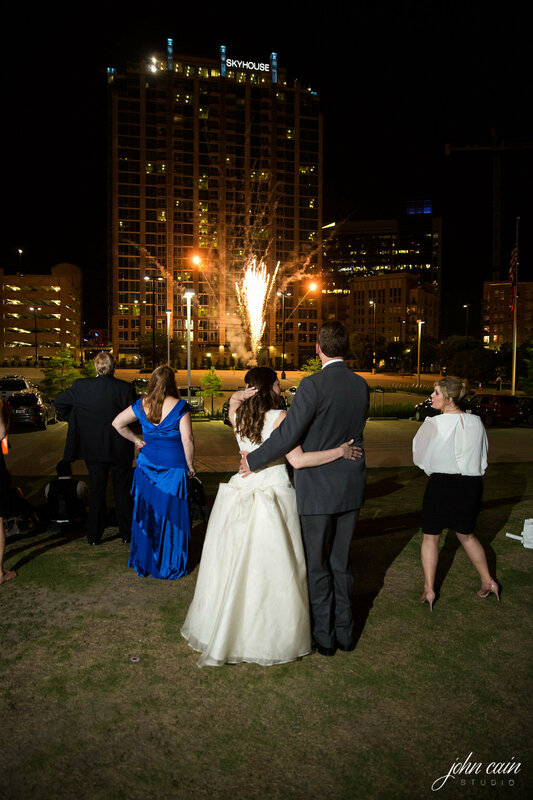 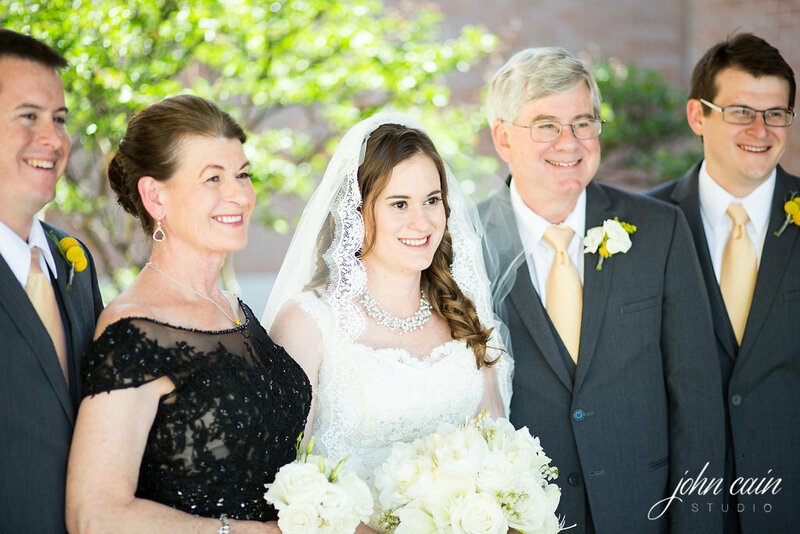 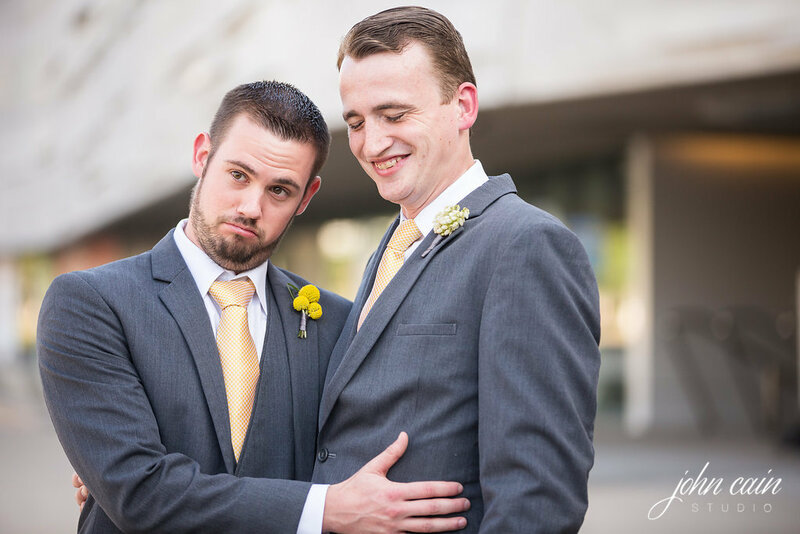 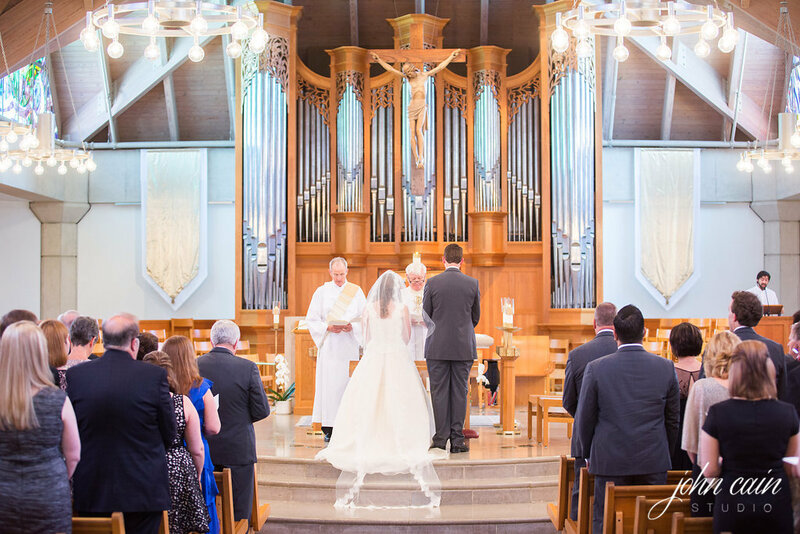 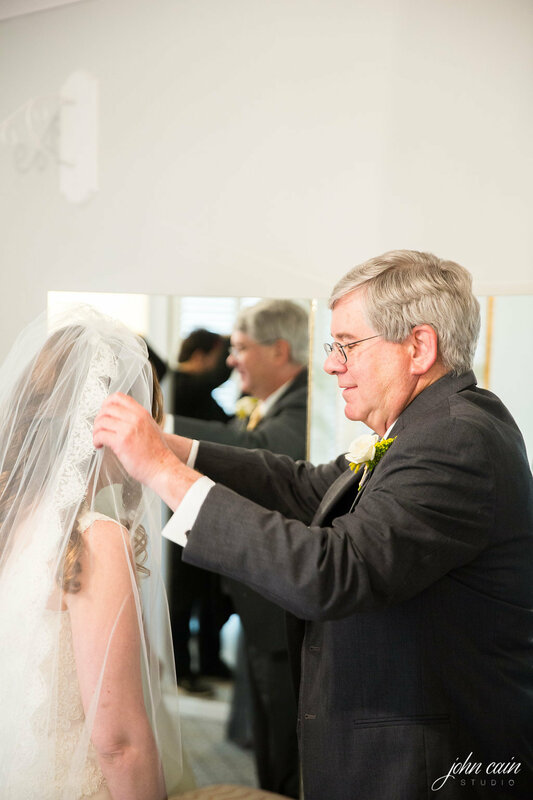 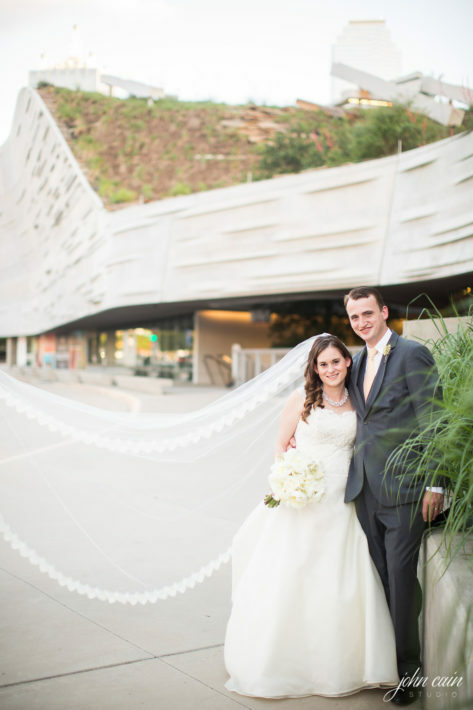 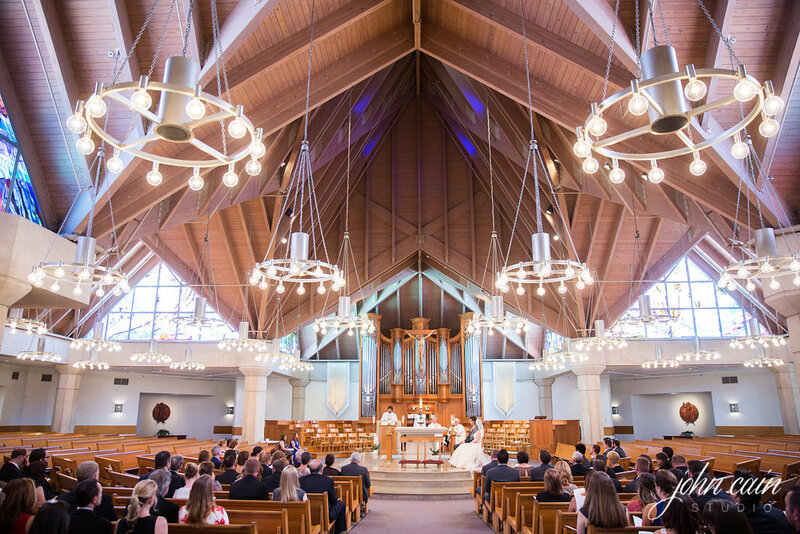 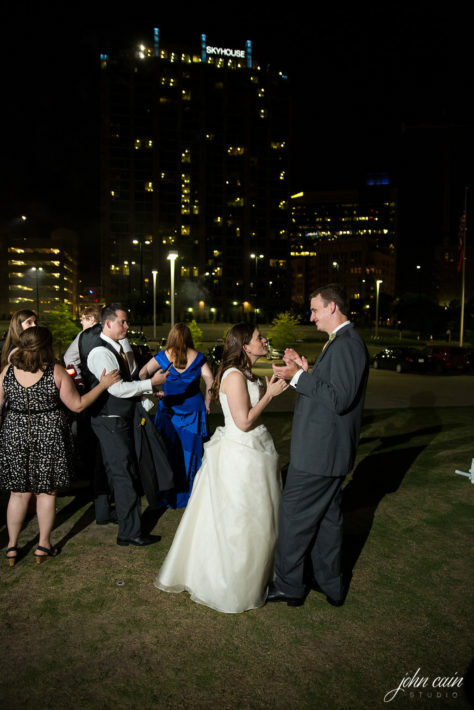 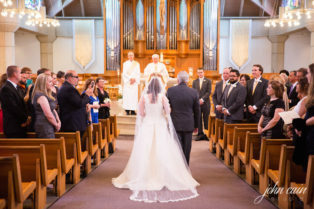 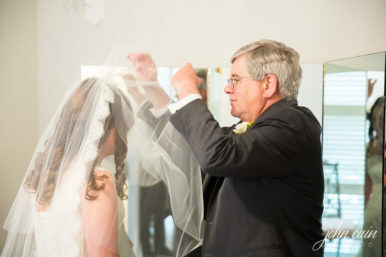 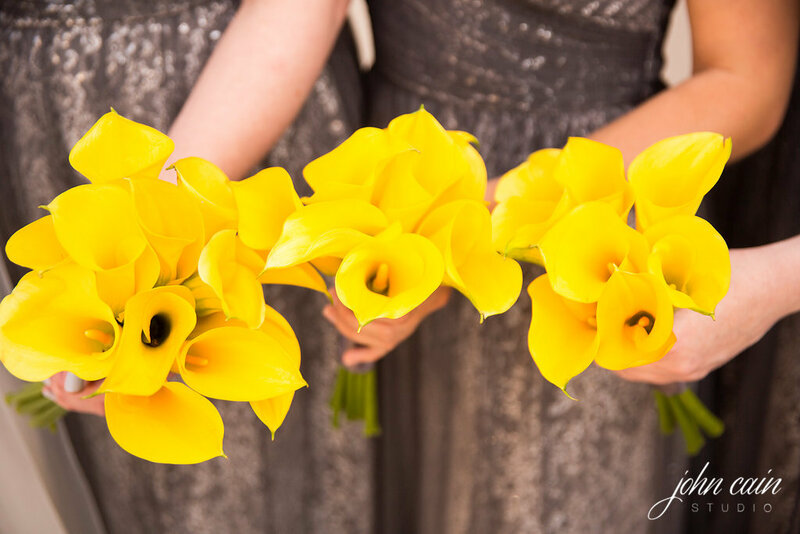 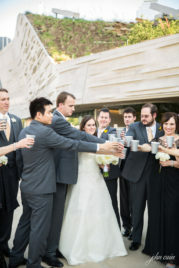 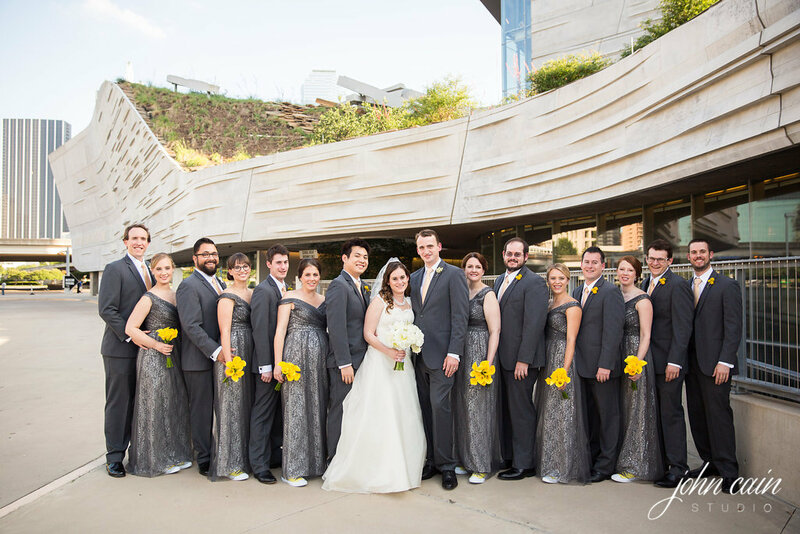 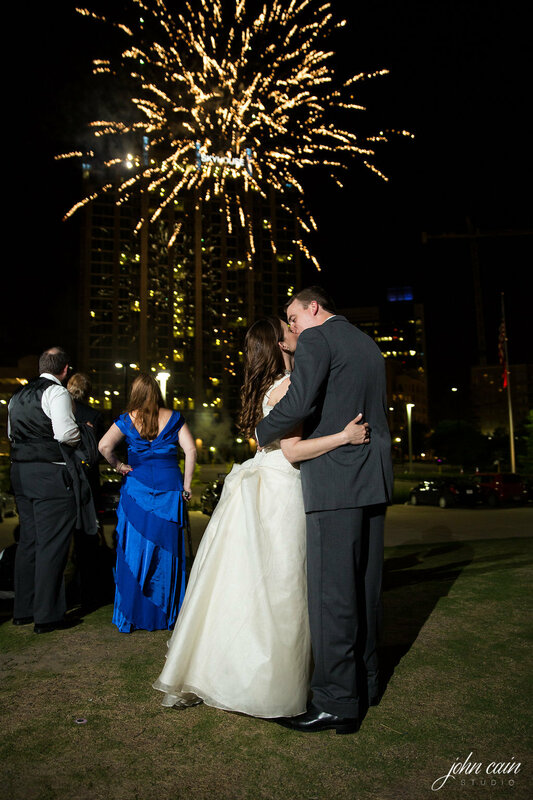 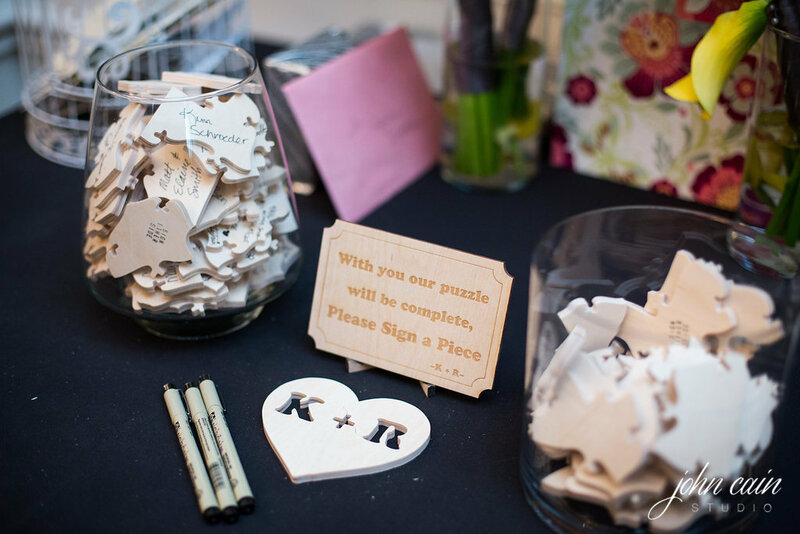 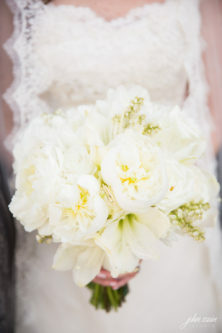 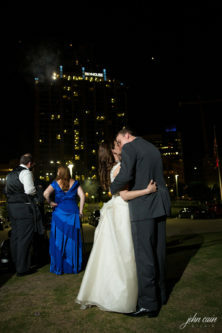 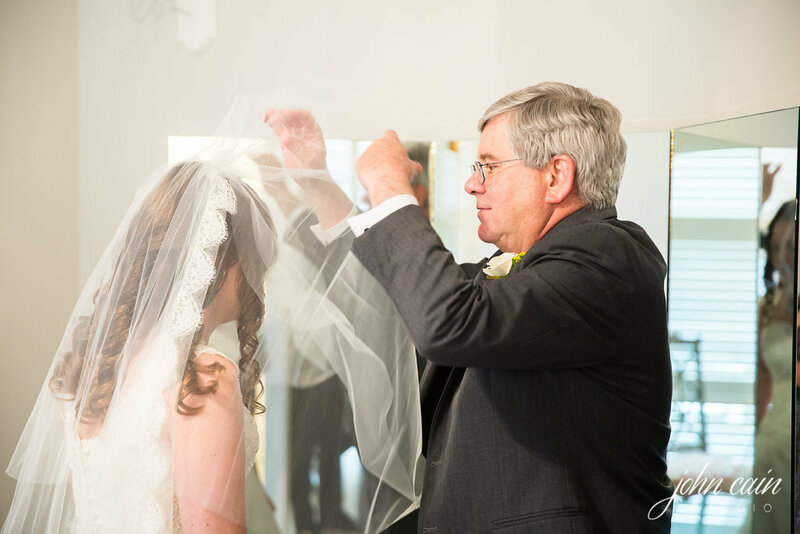 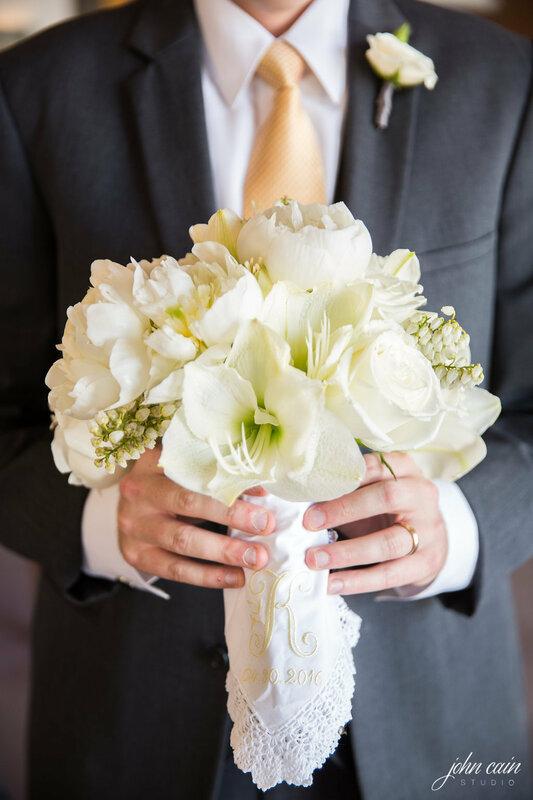 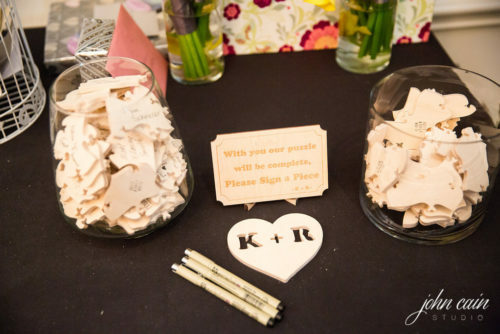 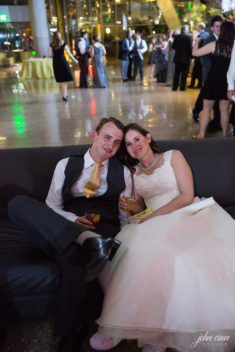 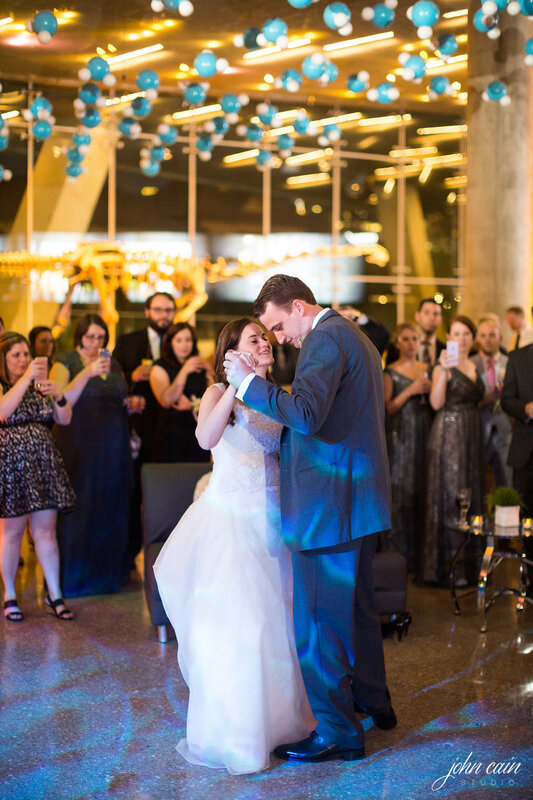 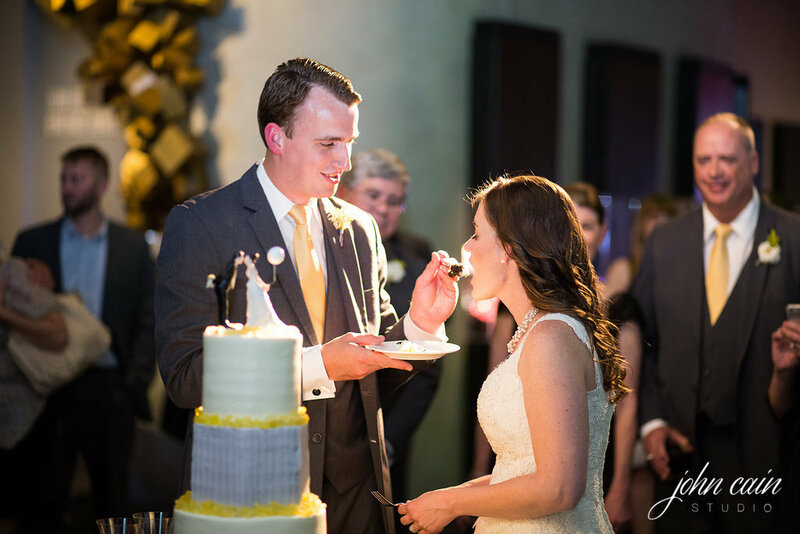 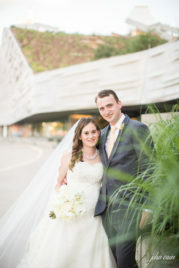 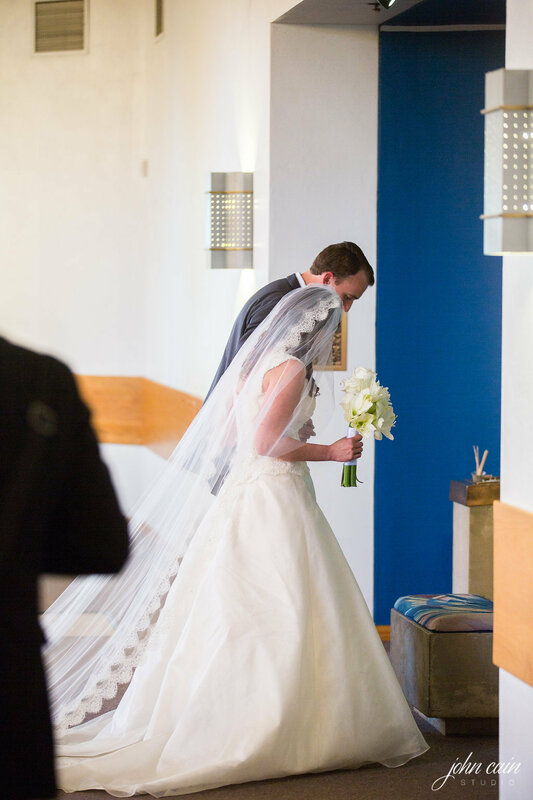 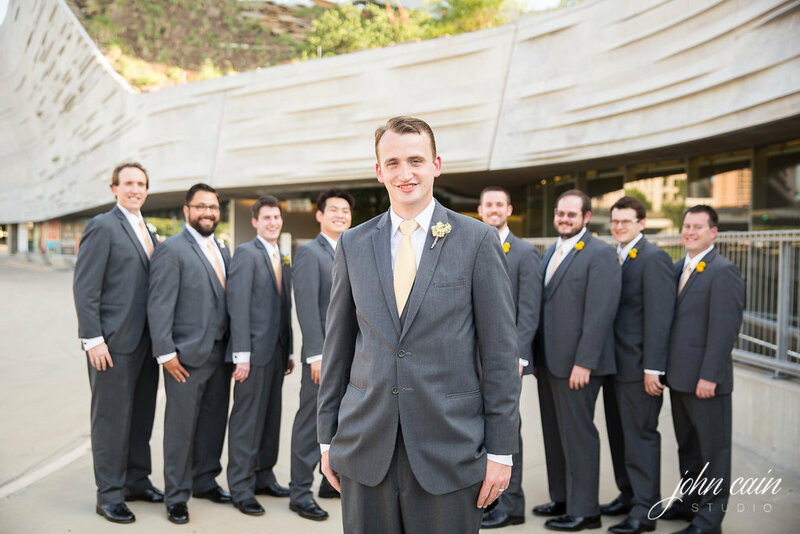 This entry was posted in Real Wedding and tagged 21 Parc, Birnbaum & Bullock, Dessy, John Cain Photography, Perot Museum, tuxedos on August 18, 2016 by admin.